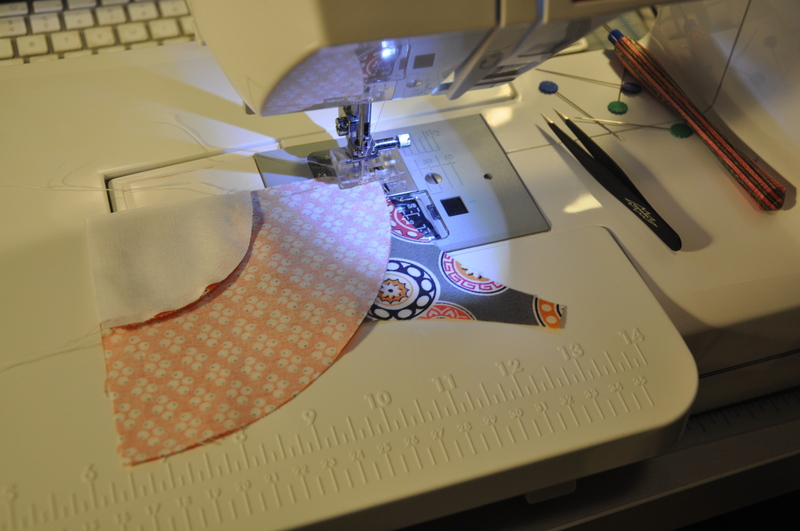 Sew time with Cleo Cobb! 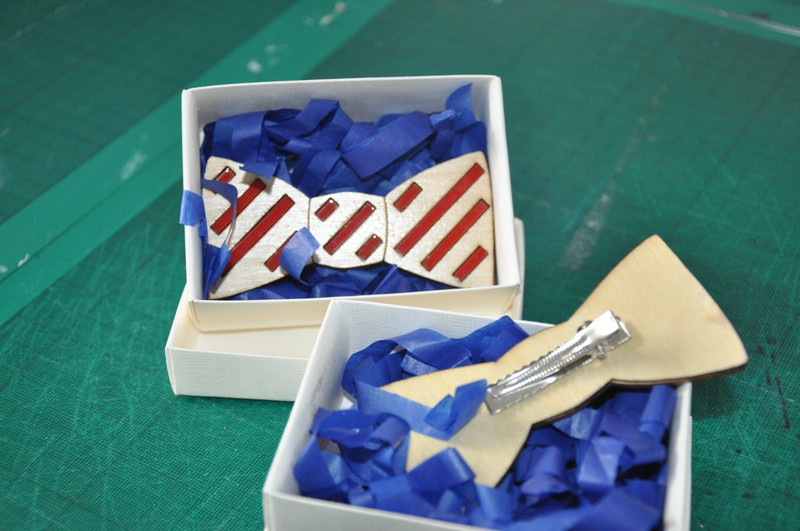 Handmade in London. One of the last things I had the chance to do before I left London this past July was to meet and hang out with the amazing Cleo Cobb at her home studio. 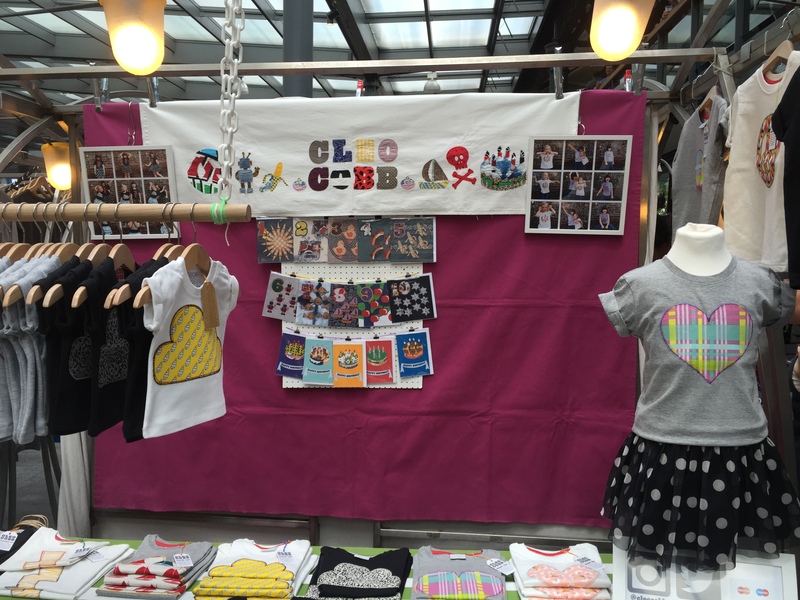 Cleo started her handmade clothing company a few years back and has been growing her range every year. 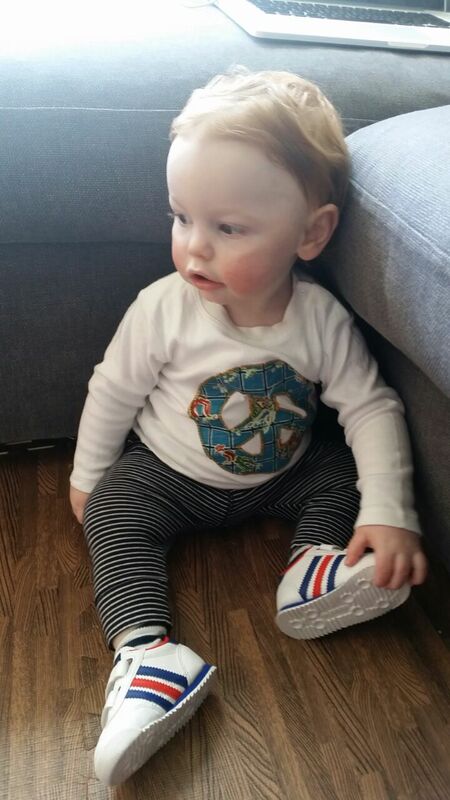 Earlier in the year, Haydn received one of Cleo’s handmade shirts for Christmas. He rocks it whenever he can. I reached out to Cleo and asked her a few questions about her work, her life and what inspires her to “Rock”! This is what she had to say. MC – Let’s start by getting to know you a bit. Where you from, where do you live now? CC – I was born in St Bartholomew’s Hospital in Smithfield and grew up in the Barbican until I was about 14 when I moved to across Blackfriars Bridge to Southwark. Now I live with my partner and our two children next to Victoria Park in Bow. MC – When did you start designing your awesome shirts? 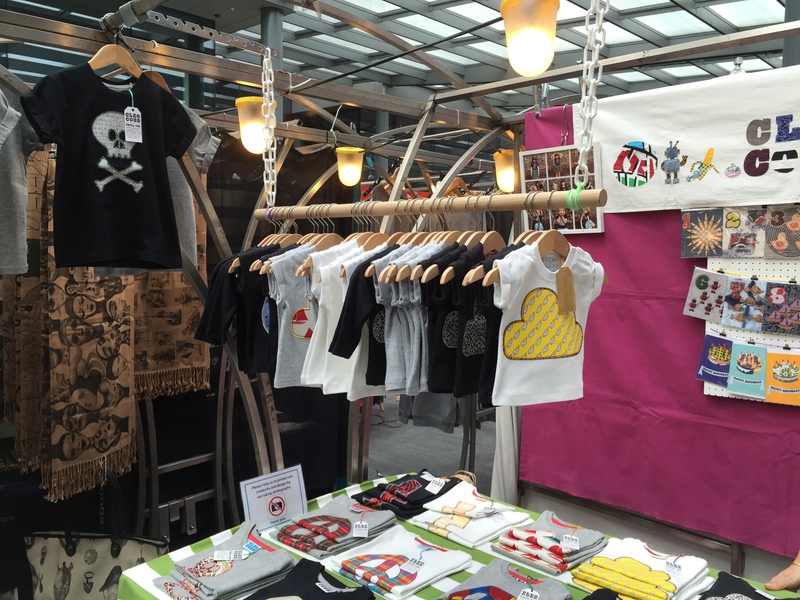 CC – I first made one of my Skull Tees for my eldest daughter in about 2011. There was a princesses and pirates day at a local childrens’ centre. I was so pleased when my daughter said she wanted to be a pirate, I jumped at the chance to make her a pirate t’shirt. 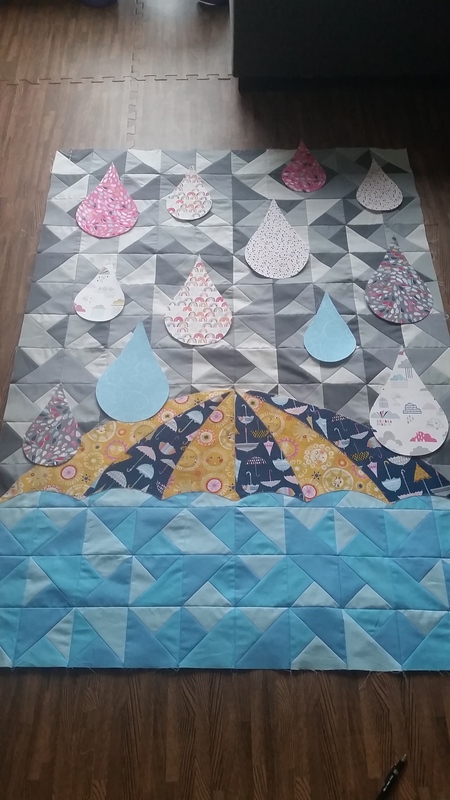 I made one for my (then) toddler too! I then made a few as birthday presents for kids we knew and it’s grown from that. MC – Did you have a boring day job before that? 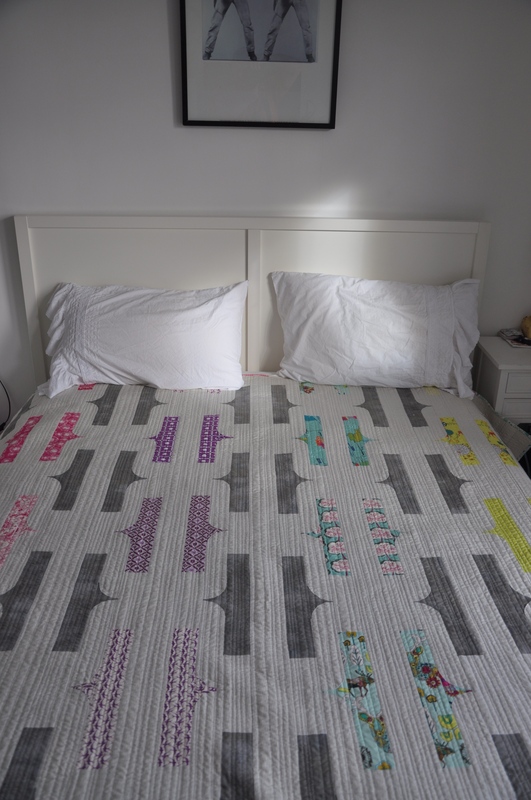 CC – Making things and blogging about it was something I was able to do around raising my children during nap times and after bedtimes. 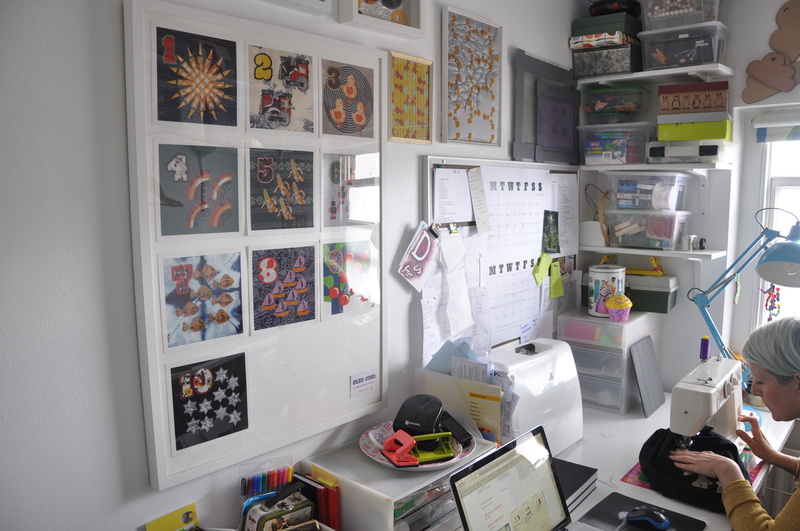 I still have that day job, but now the kids are in school and I schedule running my business around that timetable. I also starting working in the art department of a secondary school about a year ago. As well as giving me a regular income while I establish and build my business. It also helps keeps me connected to what’s going on. I hear music and slang and see fashion and style at the school which all helps keep me in the loop. MC – If so what made you decide to leave and create a new life? CC – I choose to build my handmade business while being at home with my kids mostly because of being at home with my kids. Before having my first daughter, I was studying textiles and procrastinating on how to turn those studies and all my other training and skills into a business. Having my kids put that development on hold for a bit. 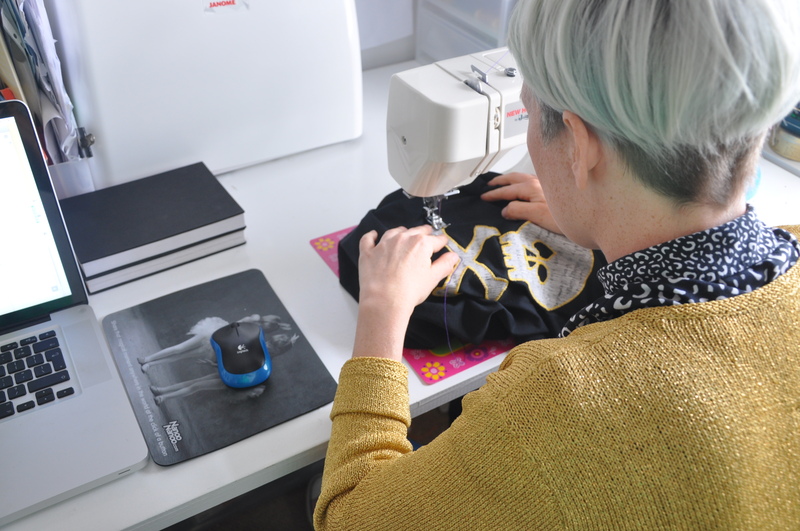 Hard at work in her home Studio, Cleo sews up a custom gift for a client. 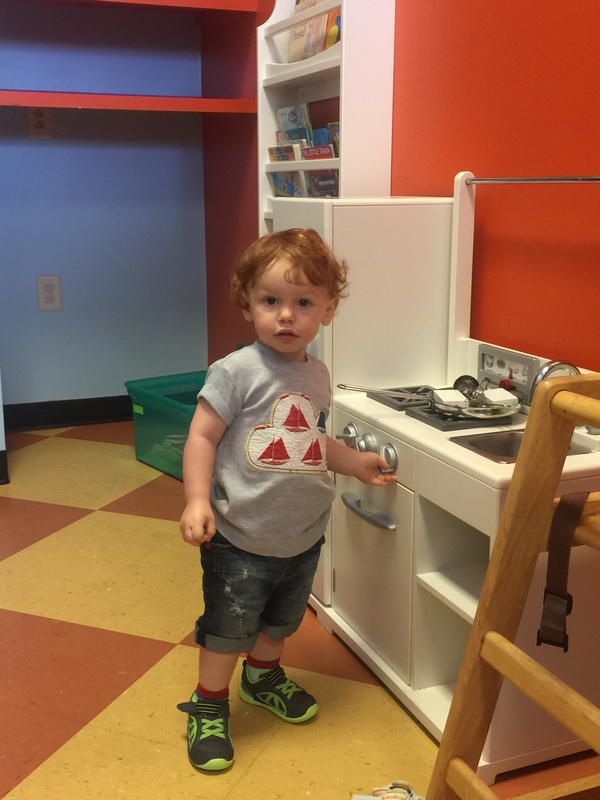 When my youngest was still in her first year I decided to start blogging about all the things we did at home that were creative and to document the things I made. This was mostly to stop going insane. It is so easy for those things to go unnoticed in the avalanche of parenting duties and daily routines so flagging up the creative stuff we did really helped. Some of those creative projects were presents for people we knew and some of those turned into products. MC – Tell me about your process, do you need quiet to work or are you rocking out? CC – At this stage of my business I have to wear a lot of different hats. Sometimes I’m writing copy, taking product shots, editing photos, updating the site, researching new prints to work with, doing the accounting. During these times I need to focus and concentrate which can mean listening to music or no distraction at all. Stacked and ready to be finished. 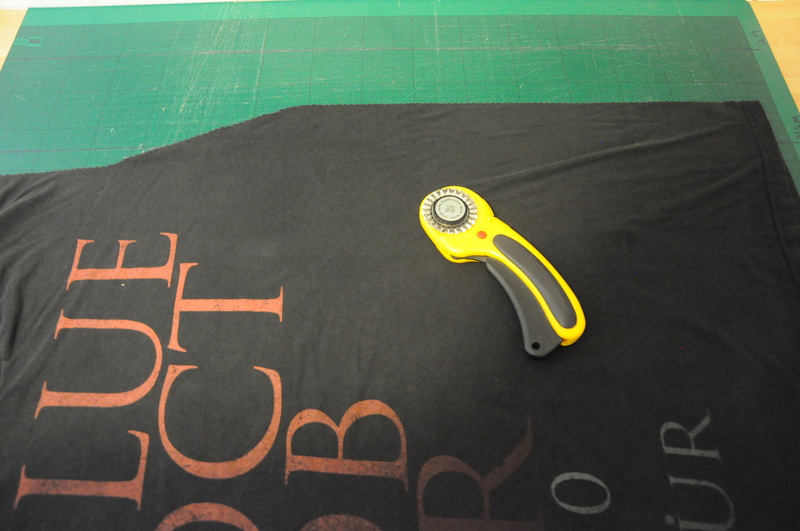 When I’m actually making the tees, I can relax a bit as it’s all manual, I get a production line going and I don’t have to think too much. These times call for a bit of company and I could tell you this is when I listen to intellectual radios programmes, but I don’t! This is when my Netflix addiction comes in and I rack up some serous binge watching hours. 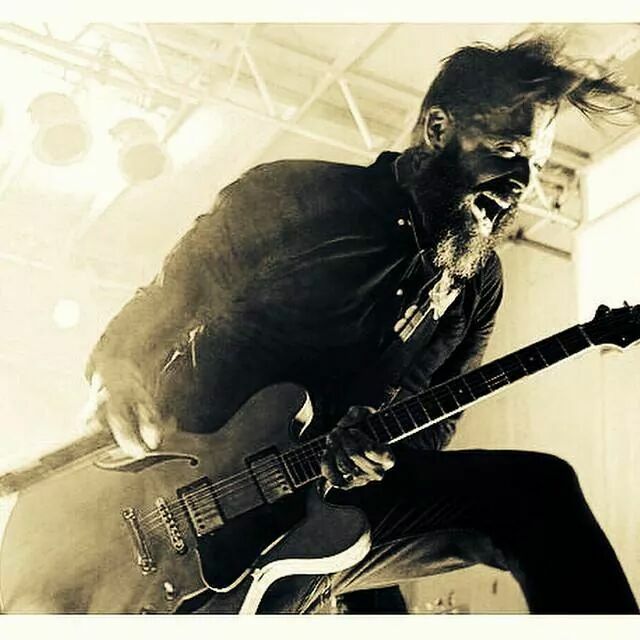 MC – Some of your designs are very Rock n’ Roll, What type of music inspires you? CC – The 90s dance scene and rave culture is playing a massive part of my inspiration right now. I personally listen to all kinds of music while I’m working, but I’m really enjoying the renaissance of street wear and music from that time has been having. Lots of currant music, clothes, colours and iconography is reminding me of my adolescence. Discovering friends, clubbing, buying my own clothes and getting my first tastes of freedom. 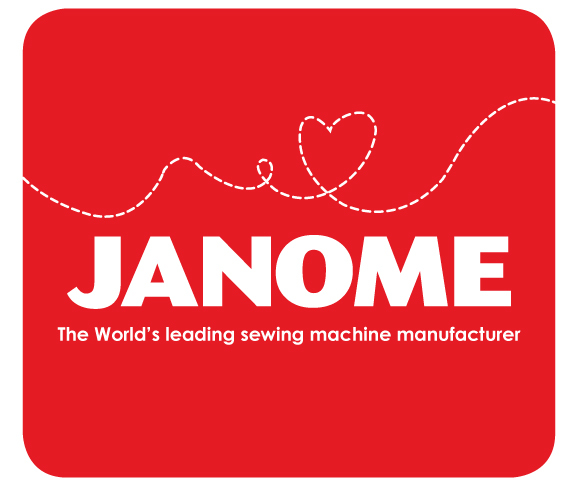 MC – What kind of machines do you use to create your shirts? MC – Is there something you would like to try and incorporate into your work but haven’t tried yet? 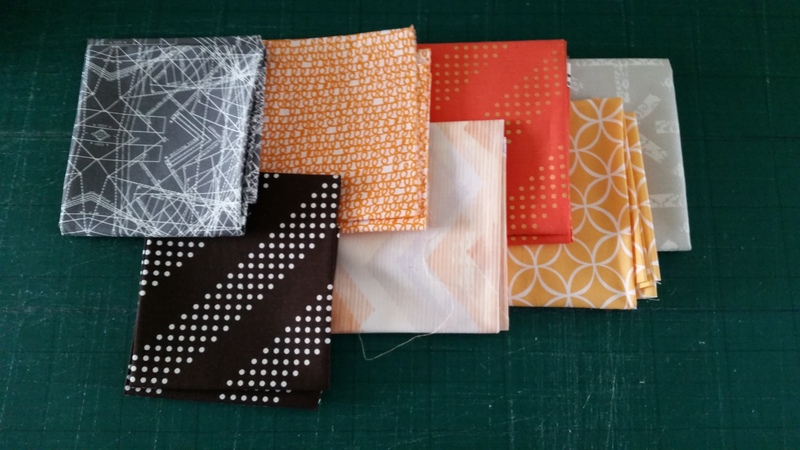 CC – I love working with great printed cottons by existing designers, but my ambition is to go back to designing and printing my own prints at some point in the future. I also have a zillion ideas of products I would like to add to my range and how I would like to expand the lines. I could tell you some of those ideas, but then I’d have to kill you. Not only shirts get made in the studio. Check out these cool hair clips. 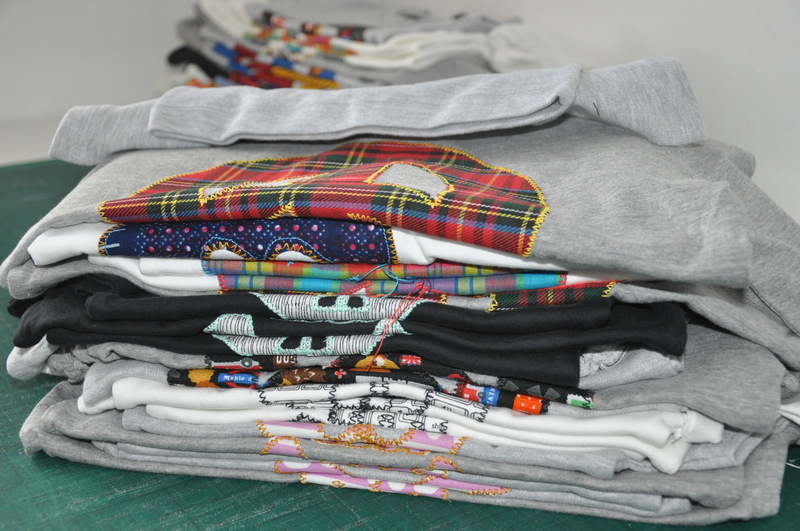 All made by hand! MC – Where do you see yourself in 10 years? CC – I will have nailed the life/work balance of course. 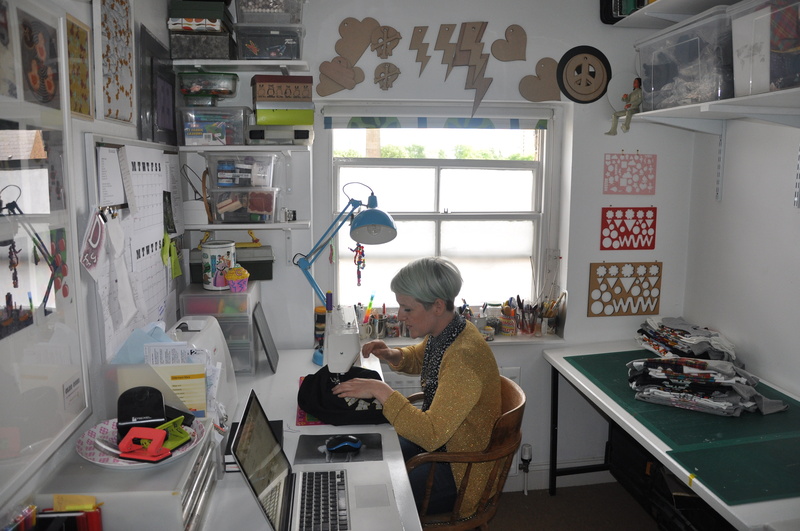 Living by the sea, still being passionate about the things I make. I’d like think I would have a team working with me by then, taking over the world one tee at a time. 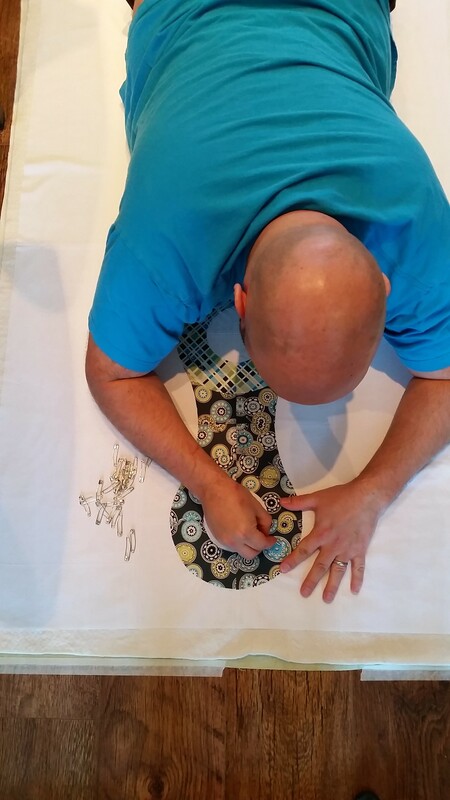 I would hope I would have learned a lot about running a business by then so that I would be in a position to mentor other people in building their own handmade businesses. That would be great. 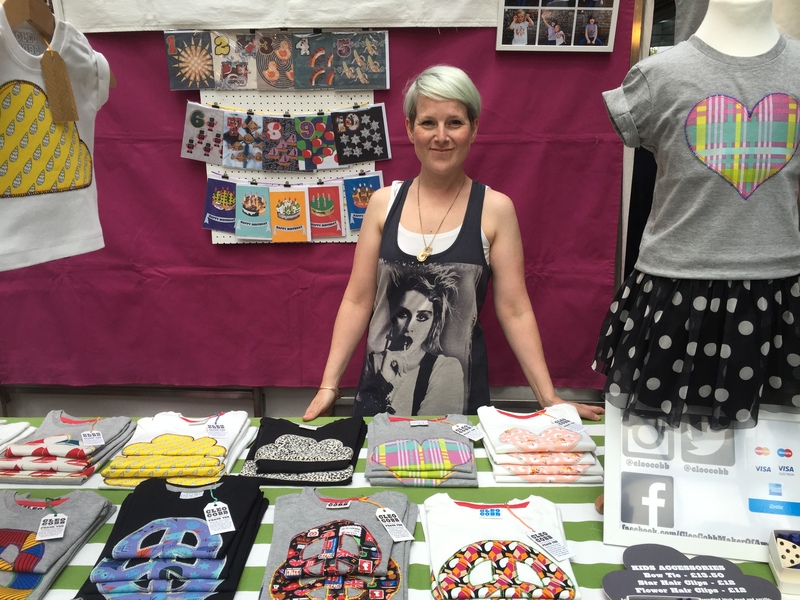 If you are in the Spitalfields area every Saturday you MUST stop but and pick up some awesome gifts from Cleo at her stall. 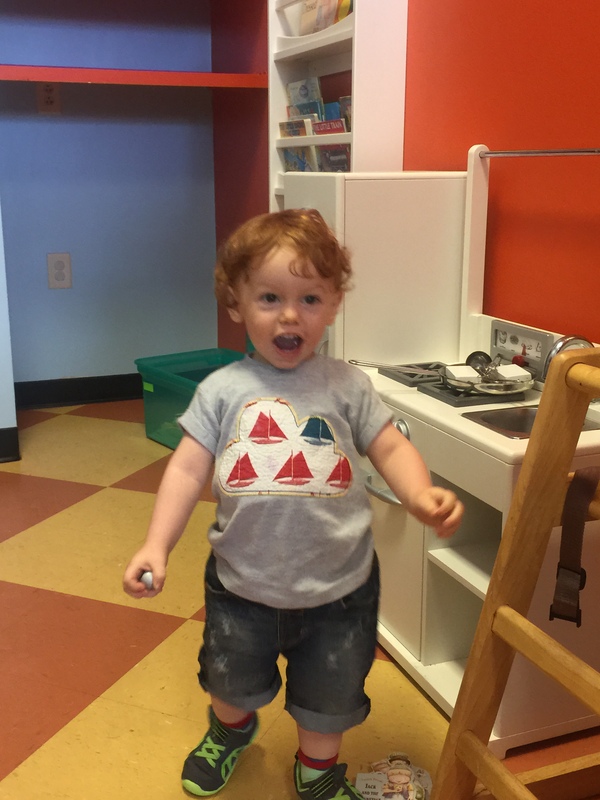 Someone is super happy about his Cleo Cobb shirt! 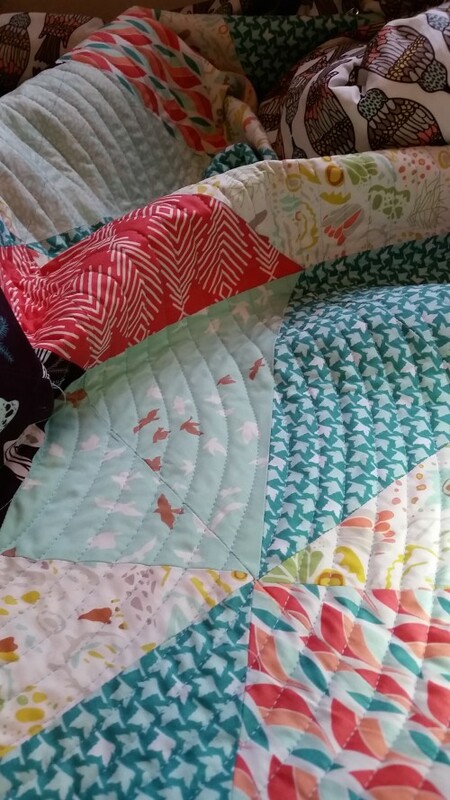 I have been busy working on my Cico Books project as of late but before I was smashed, I finished up a few more quilts for Quilt Now! Here is one! 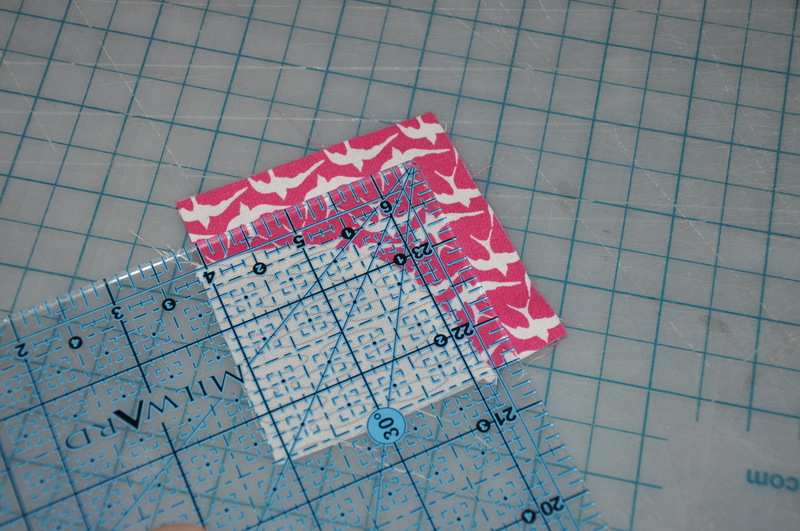 On one of my strolls through Pinterest I found this cool little postcard that used a bracket as a graphic pattern. 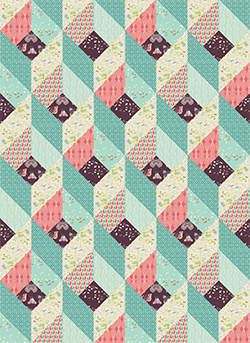 I’m a designer or was not to long ago so I came up with this idea and pattern. 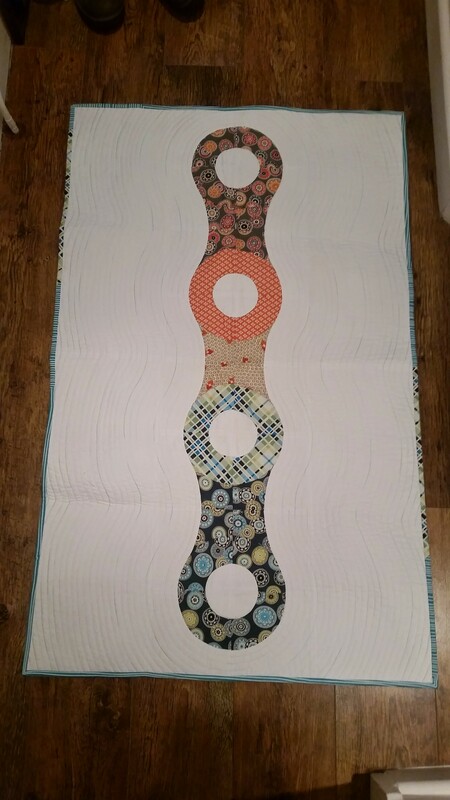 While creating curved blocks is not a favorite pastime I knew to make this work as I wanted it had to be number 1 on my list. 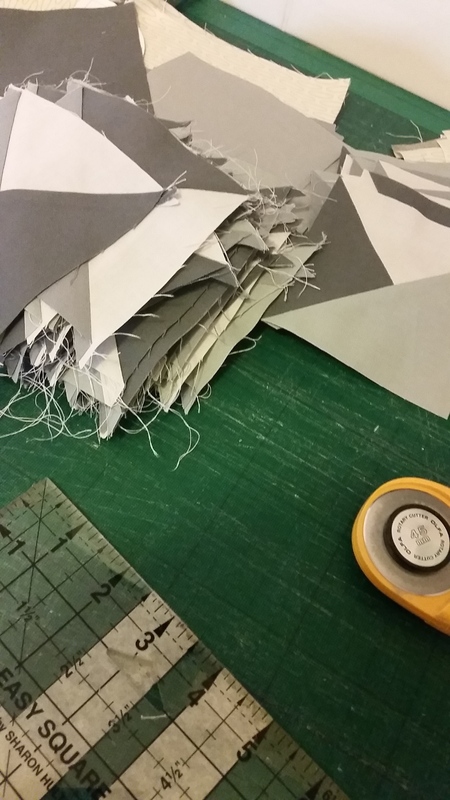 The thing with piecing 1/4 curves is that you generally have to pin the heck out of them and inevitably end up sticking yourself all afternoon. 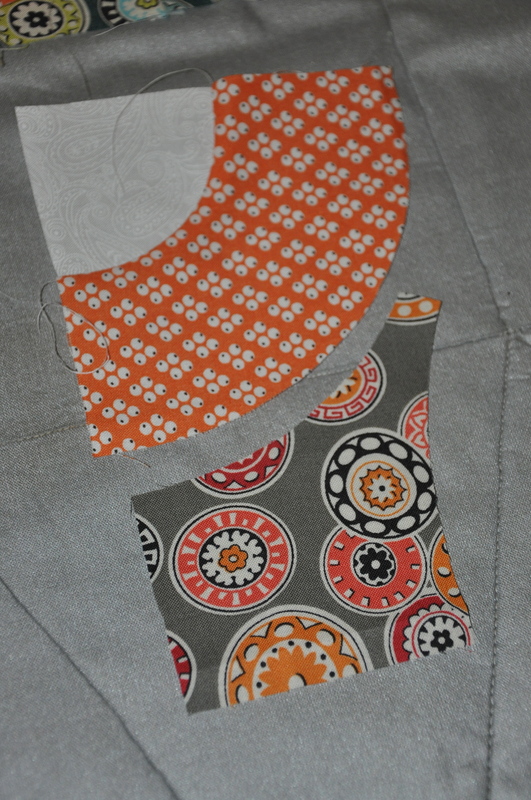 Then I remembered I have the curved piecing foot I bought from the Festival of Quilts a few years back. 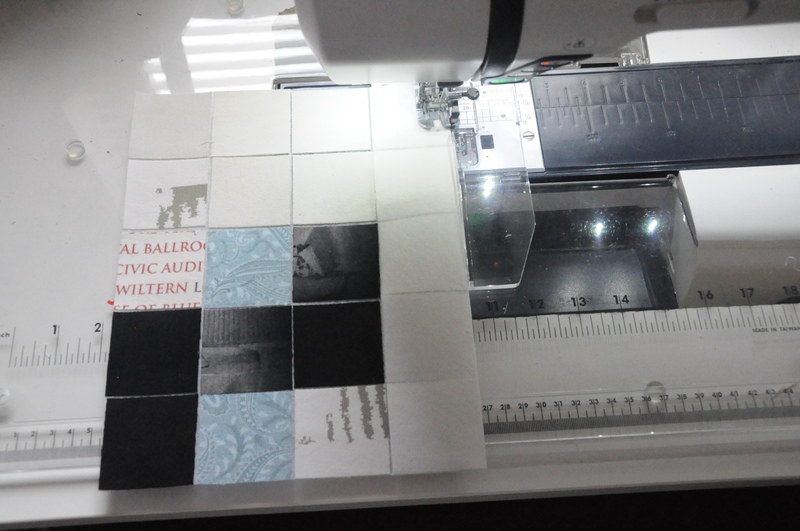 After reaching through the studio for the unopened set, snapped it onto my Janome Horizon and I got to work. 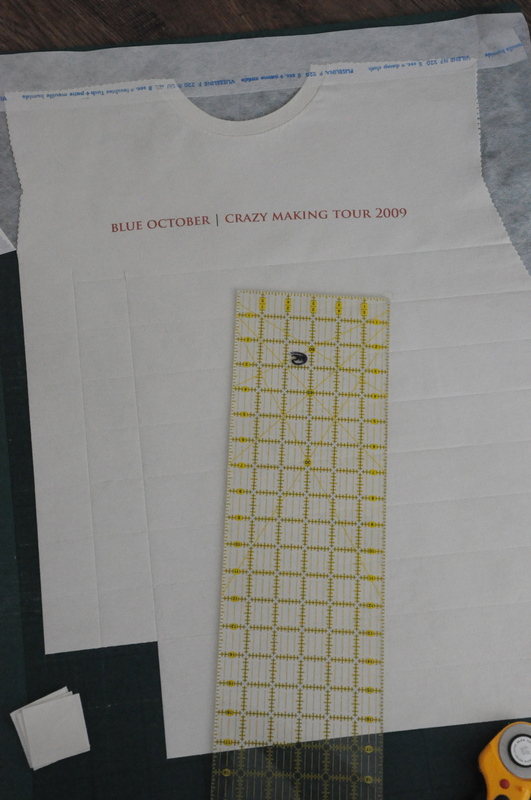 First by making the template…. 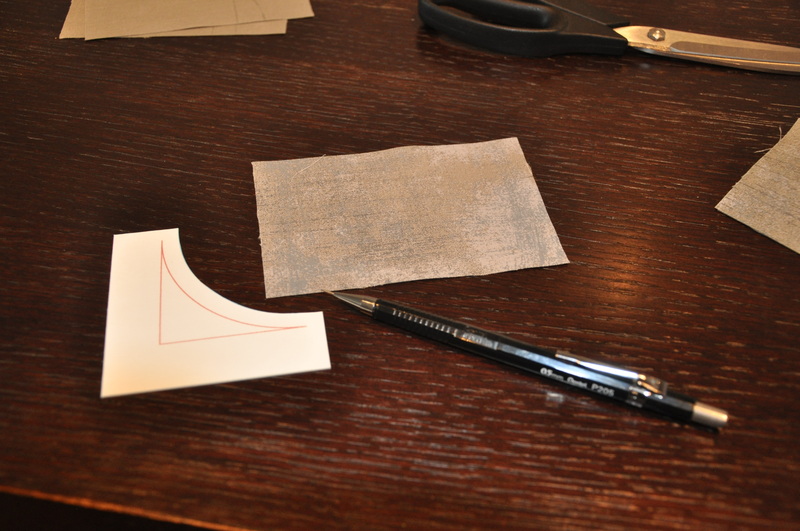 Then by tracing and cutting the endless sections. Remember each block has two parts. 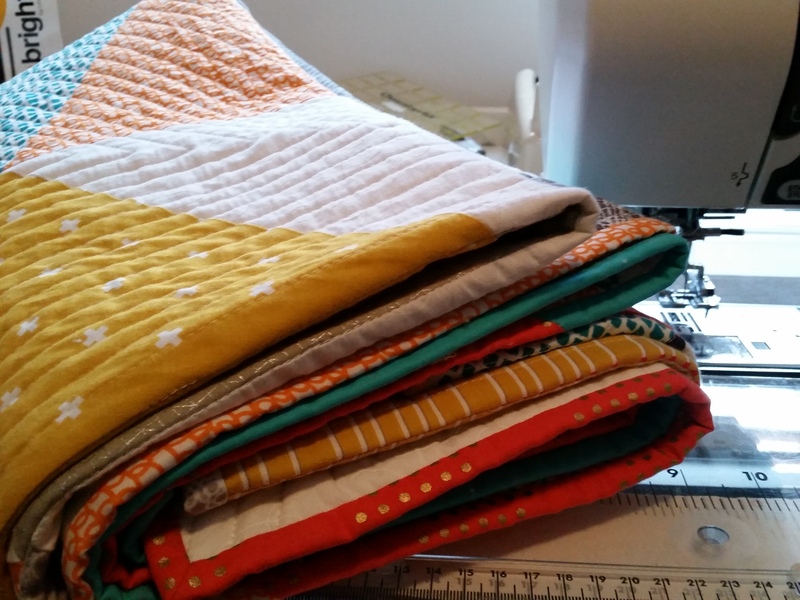 There are something like 180 little 2 1/2″ blocks. Oh Joy!!! And once we had all the pieces in the correct color and direction we were off with a vengeance! 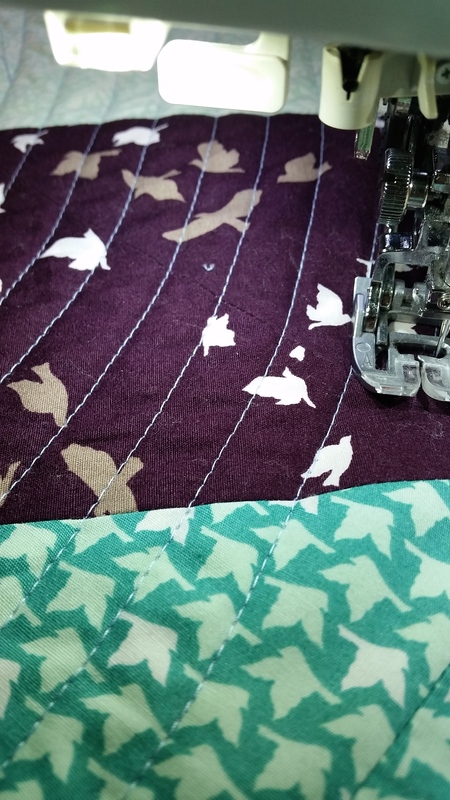 I started by adjusting my foot so we had the proper 1/4″ seam allowance and the positioned both curves in place like below. Carefully and slowly I made way through the curves. 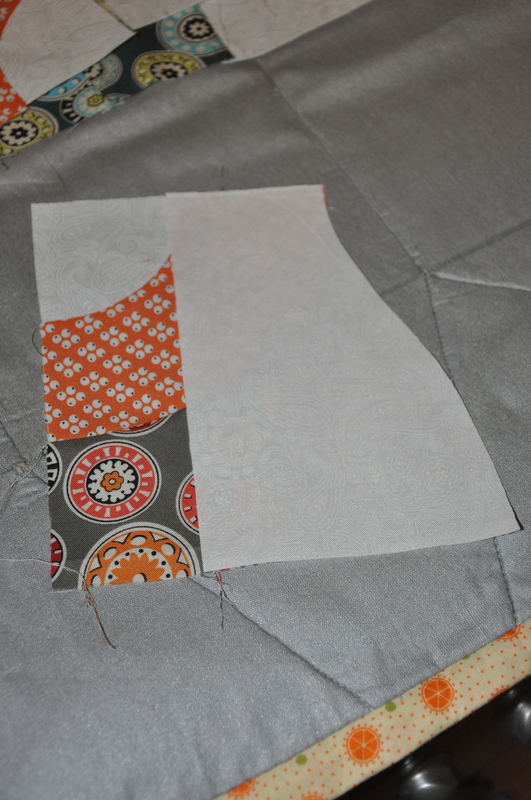 Once you get close to the end it is best to use a pair of tweezers to hold both ends aligning as you go. 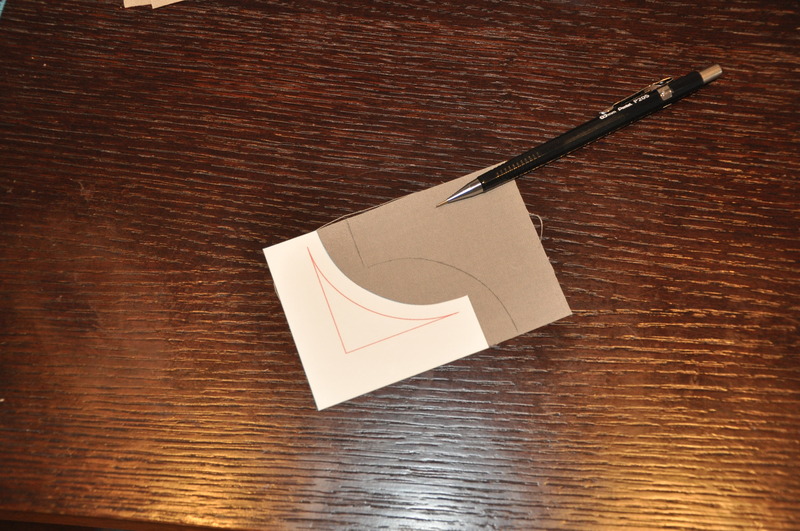 Press the curved section flat and you will be ready to trim to your final size. 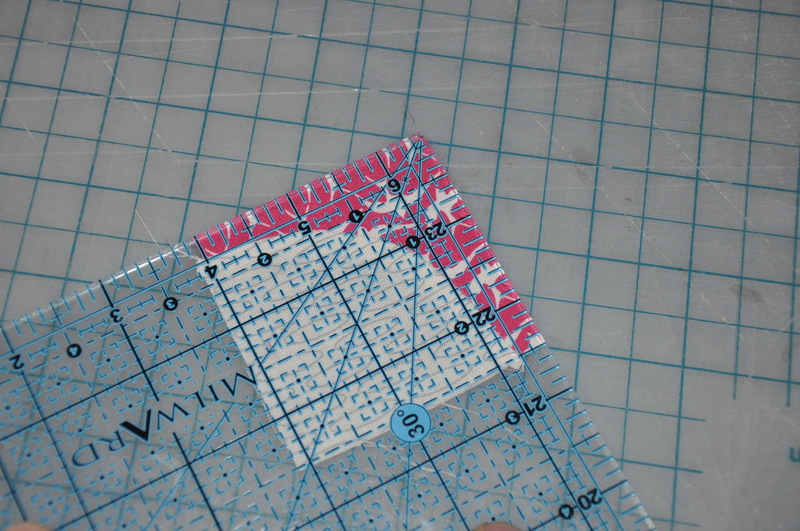 Line up the 1/4″ marks on both seams and trim two sides square. 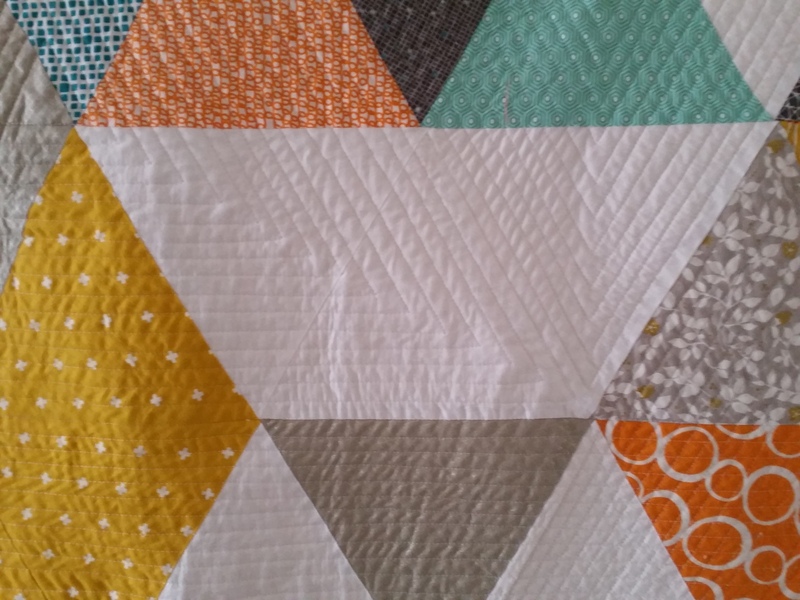 Rotate the block and trim to the final 2 1/2″ size. 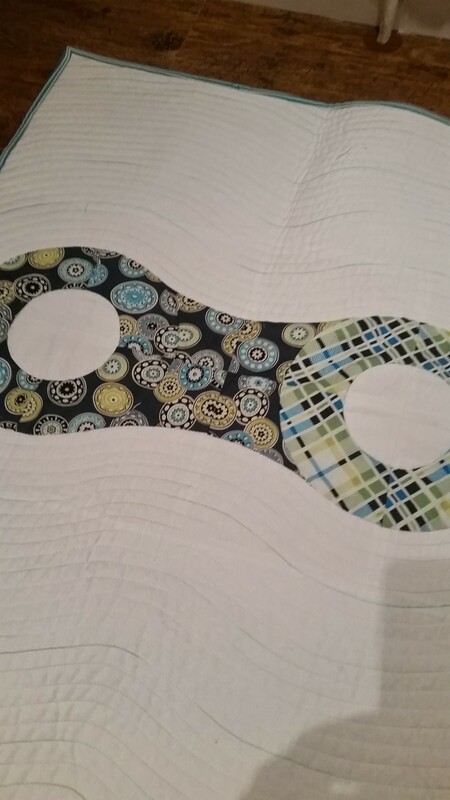 Ready to be added to the rows and finish the quilt. 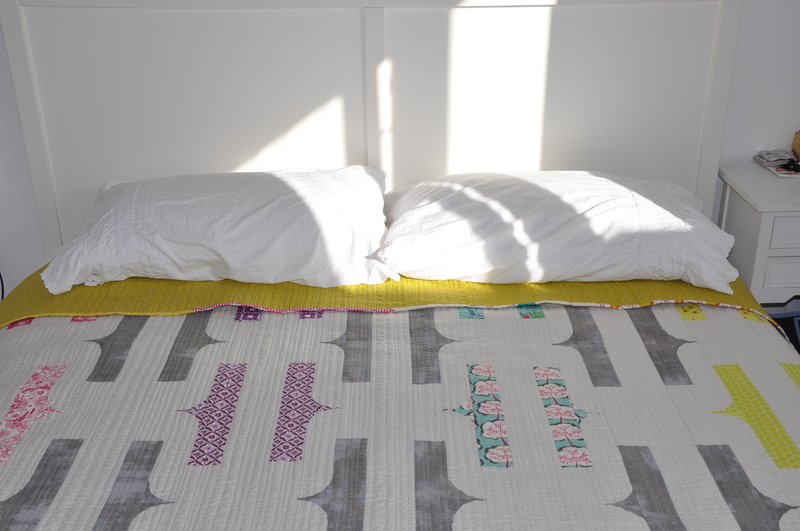 Victoria likes this quilt so it will make it to our bed. Looks good in either direction! 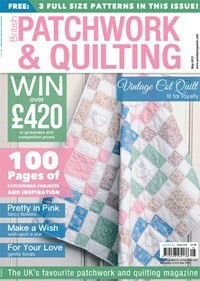 For the complete pattern and directions please find yourself a copy of issue 11 from Quilt Now! I have been very lucky that I have been super busy the last few months. 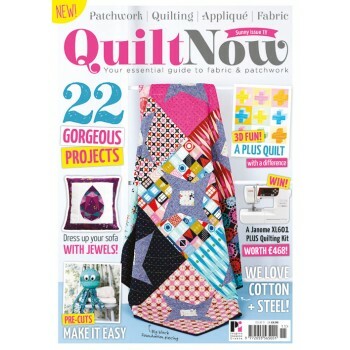 It is very exciting to have several projects in many different magazines. 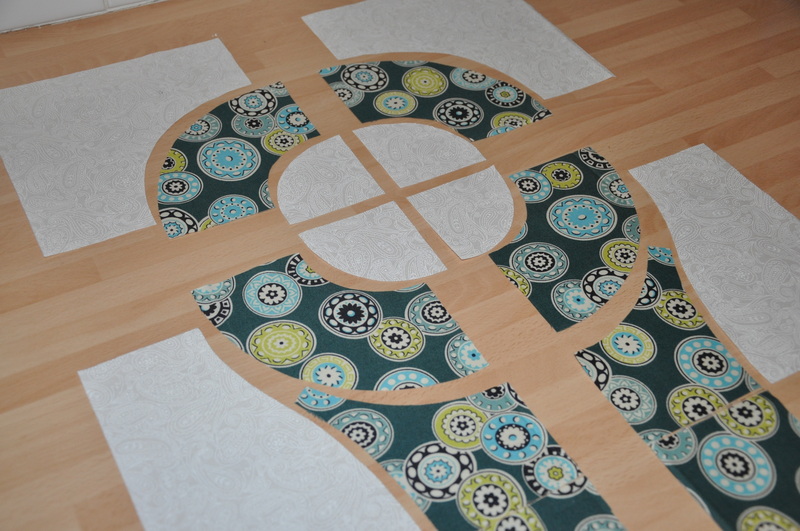 One of the coolest patterns I have worked on was this optical illusion quilt for Jenny at Love Patchwork & Quilting. As always it starts with a bit of looking around online and through my photos. 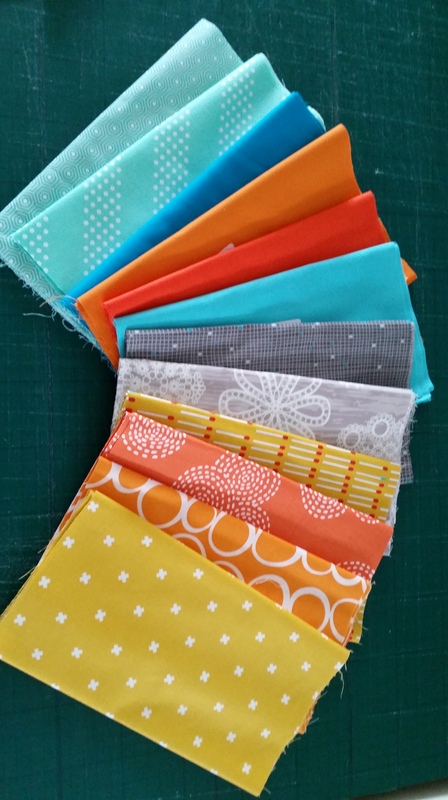 After a chat with Jenny on what would be a good selection of fabrics I narrowed it down to a few of the new lines from Art Gallery. 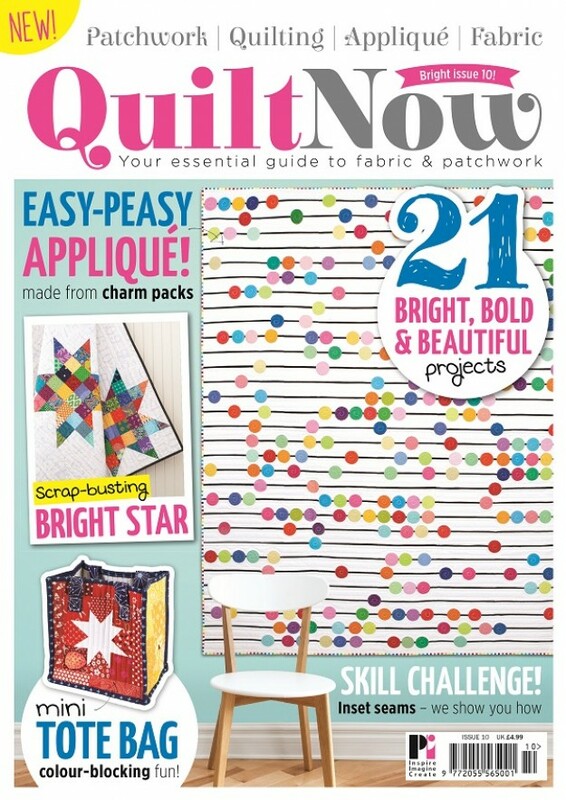 Because most new fabric ranges are available online as jpegs, I can easily create my quilt digitally before even ordering the fabrics. 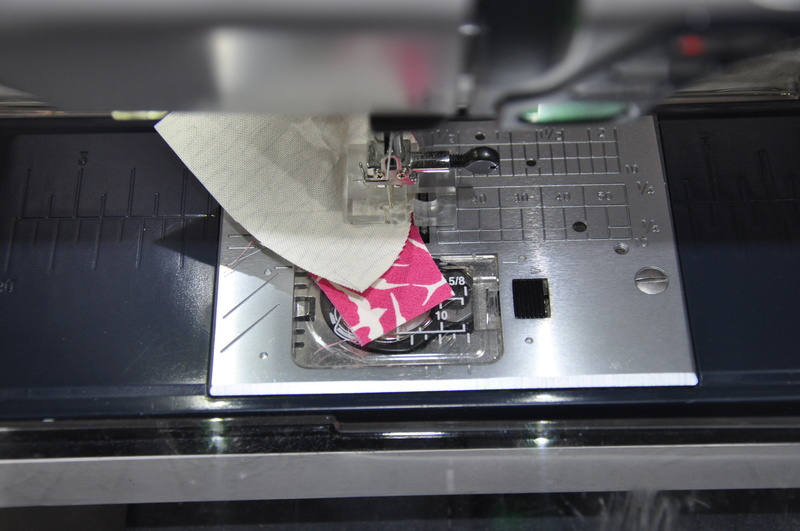 This method allows me to shift and reposition the prints to best suit the design. I like doing this! 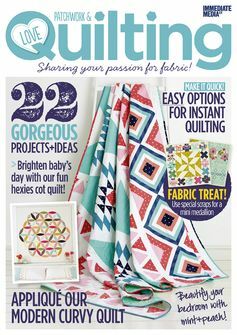 Once a decision on the fabric was made ( Winged by Bonnie Christine) I was ready to get quilting so the great people at Hantex sent me over what I needed and away I got to cutting. 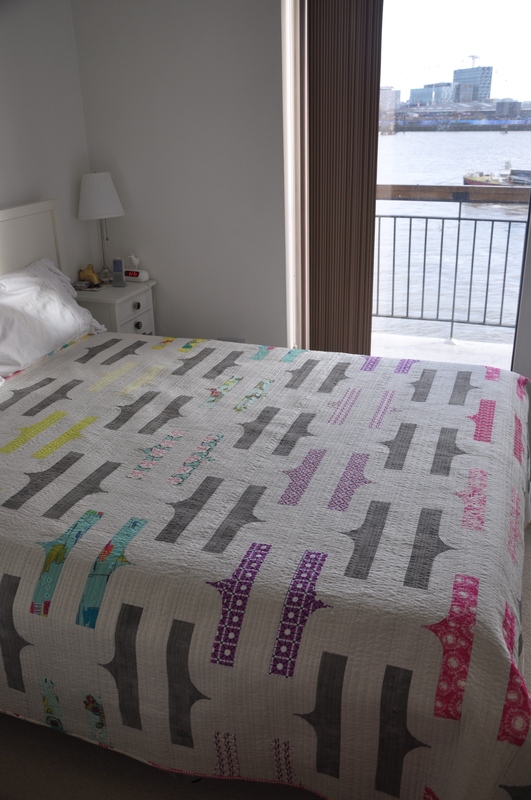 As you can see the finished quilt looks virtually identical to the image above which was made digitally. 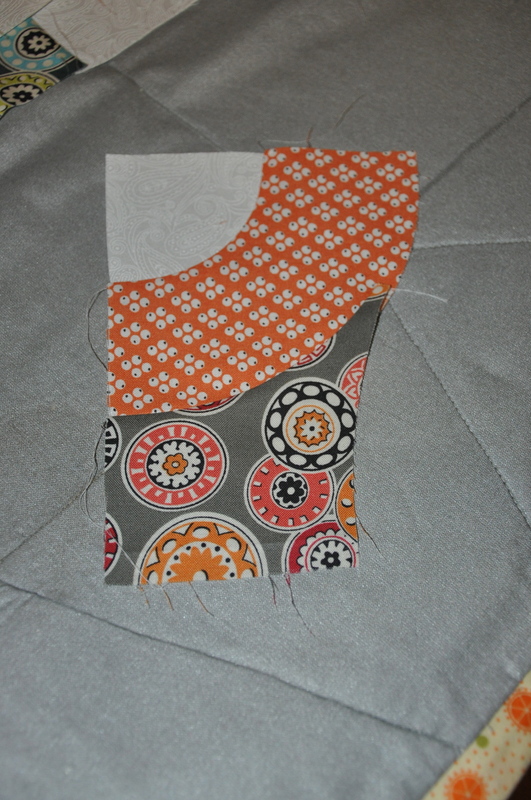 Once it was pinned out the spiral was started on my Janome Horizon 7700. 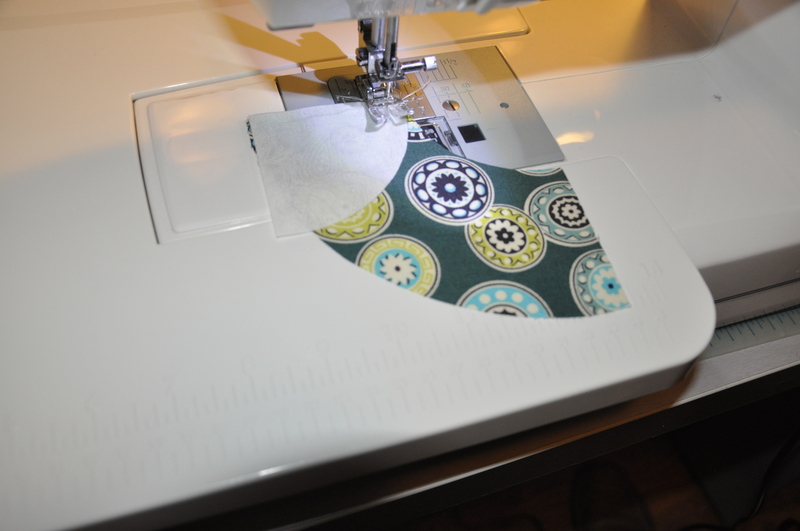 This machine makes quick and easy work of the full size quilt. I really like the way this turned out. Looking forward to sitting warmly under it on the sofa watching some bad tv! I even seam matched the back so you won’t be able to find the join. I dare you to try and find it! Meet Caleb and Dylan. 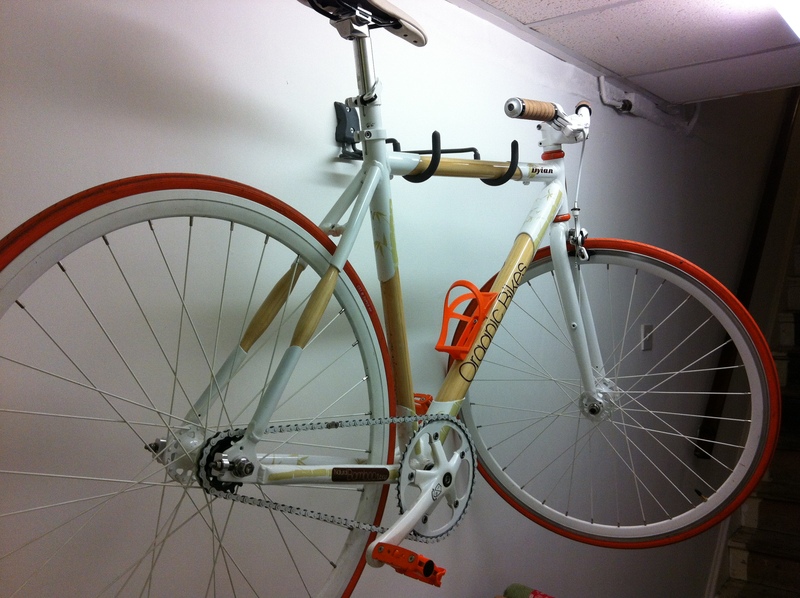 My two bamboo bikes made by a company in the states. 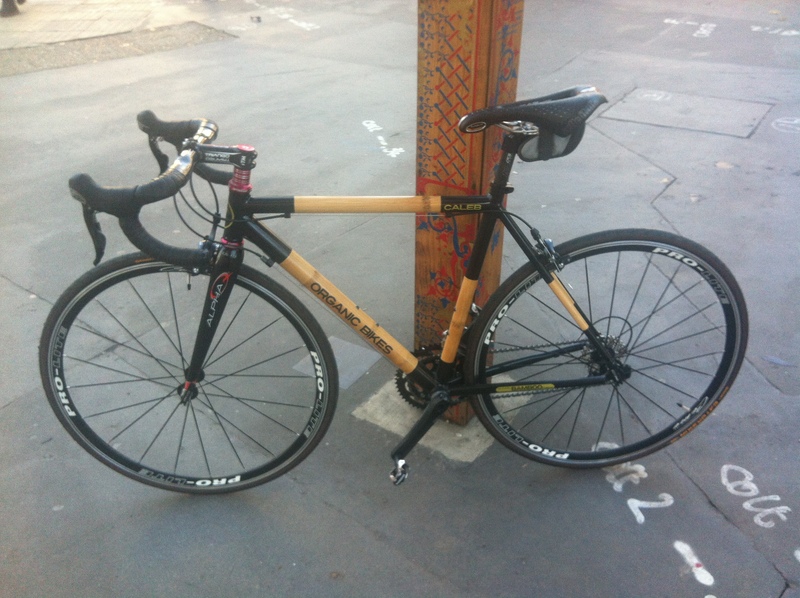 I assembled both bikes by myself and love riding them around London. Caleb and I participated in the London Night Ride together this past year. Dylan is my fixie and has been relaxing on the wall for a bit. Some people might call me a bit bike obsessed. 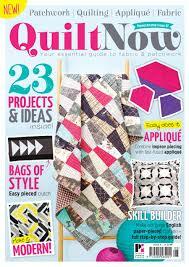 That might be true but I thought it would be fun to combine my bike with a quilt. I found a really cool image online not too long ago and my next magazine project was born. Starting with an illustrator rendering of the chain, I began to deconstruct it into more manageable sections. Playing with the layout to see what looked best. 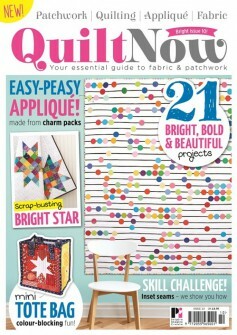 The result can be found in this months issue of Quilt Now! (issue 9). It was a fun thing to do. 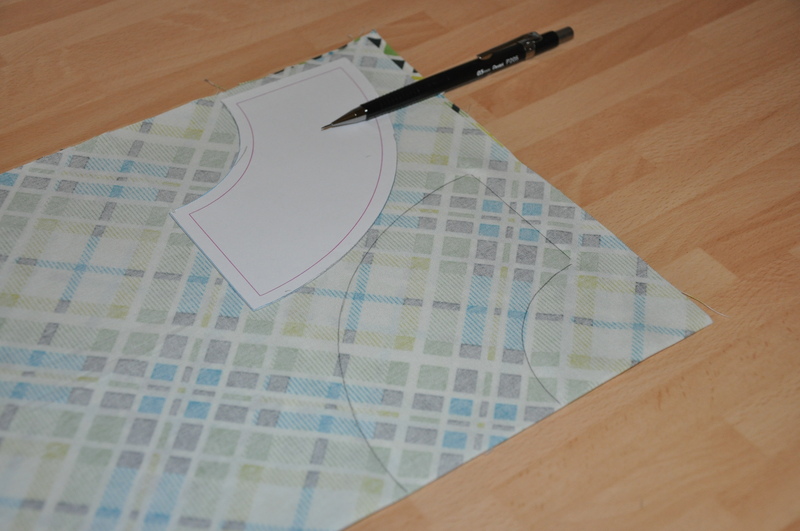 I enjoy creating my own templates and this one had a few interesting shapes to contend with. Most people can deal with the Drunkards curves but the other two take a bit of planning. 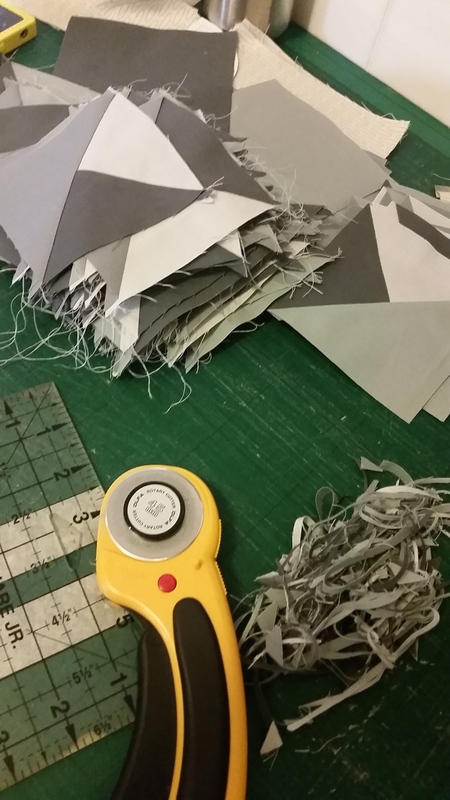 Once I drew out my shapes I then printed them and added my seam allowance. Scanned them back in and redrew them to the correct size and shape. 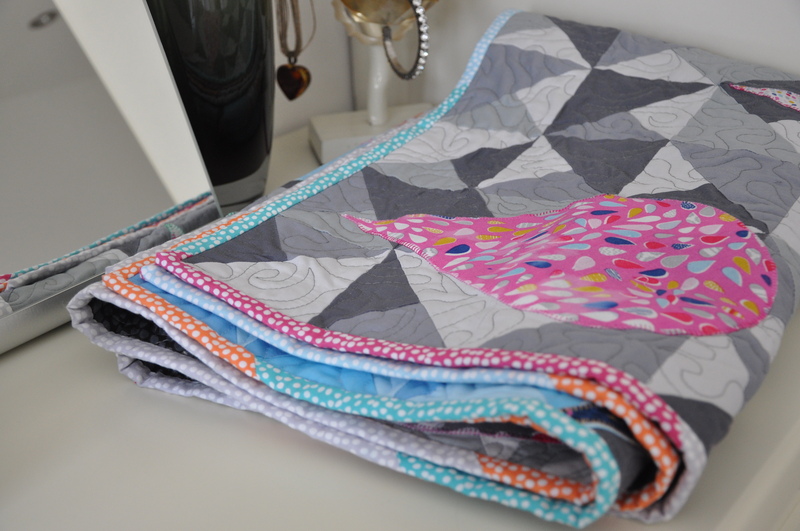 On a visit to CT last year, Denyse Schmidt gave me some bundles of her Florence collection so as this quilt was to be mine I thought I would use my own stash to create it. 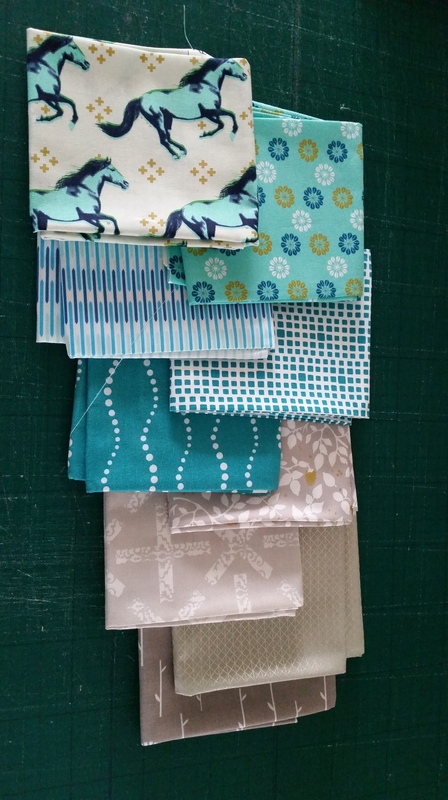 I pulled a few colors that I liked and placed them in the order that appealed to me. 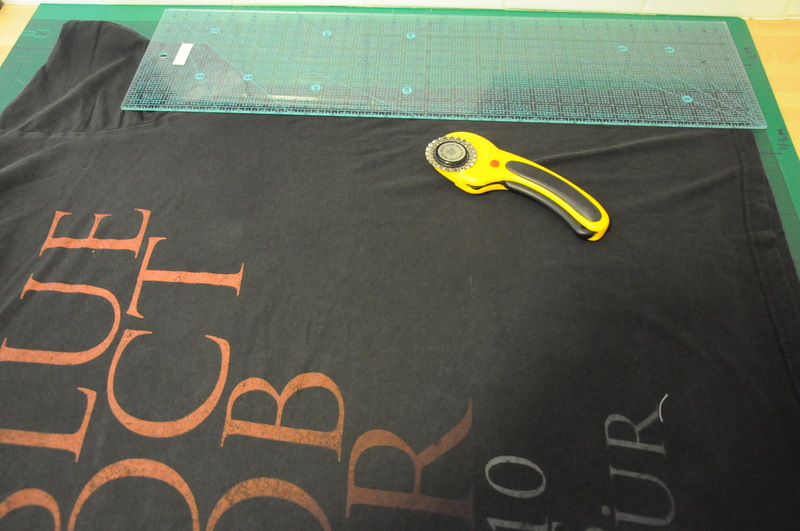 Then the pressing and cutting began. 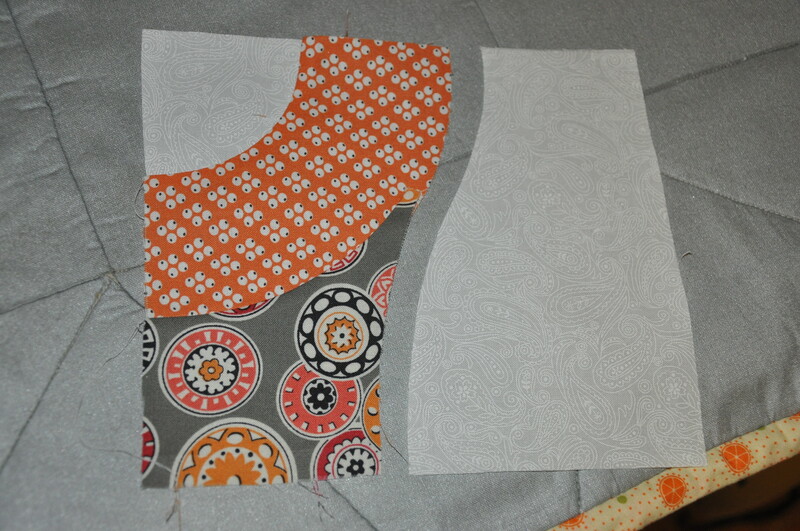 Once all the pieces were in front of me on the table I pieced the easy parts first. 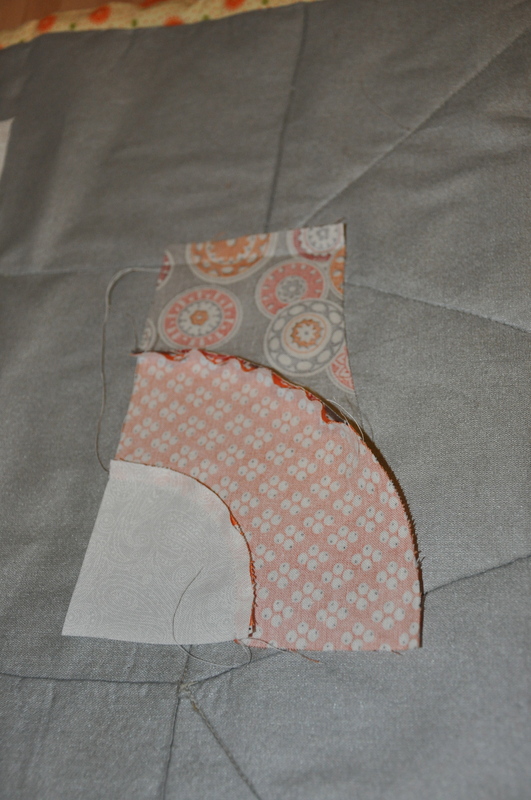 I have a curved piecing foot so that is what I used but it can be done the pinning method as well. 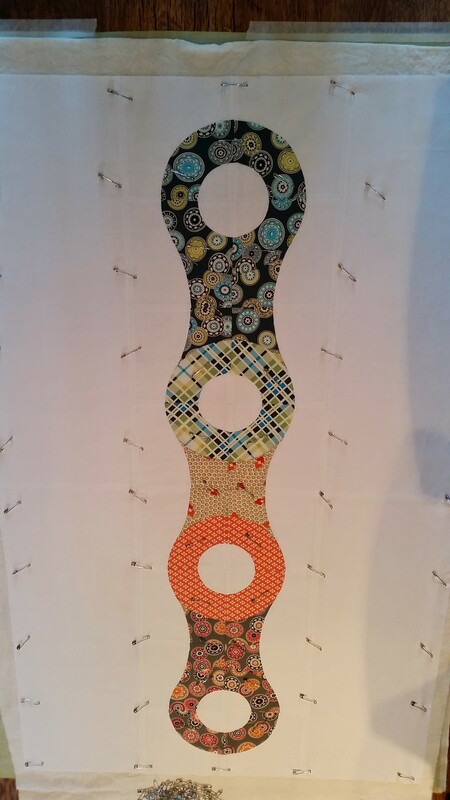 With a bit of trial and error I added the outer curves to complete the links. That wasn’t so hard so I moved on to the background piece to complete the section. As they say, Wash, Rinse and Repeat!. 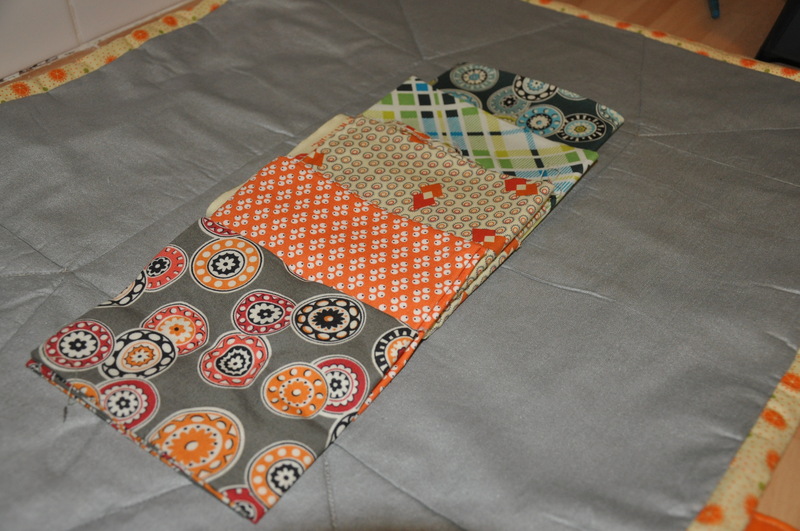 When the top was finished I pressed out my back and taped it all to the floor when the baby was napping. 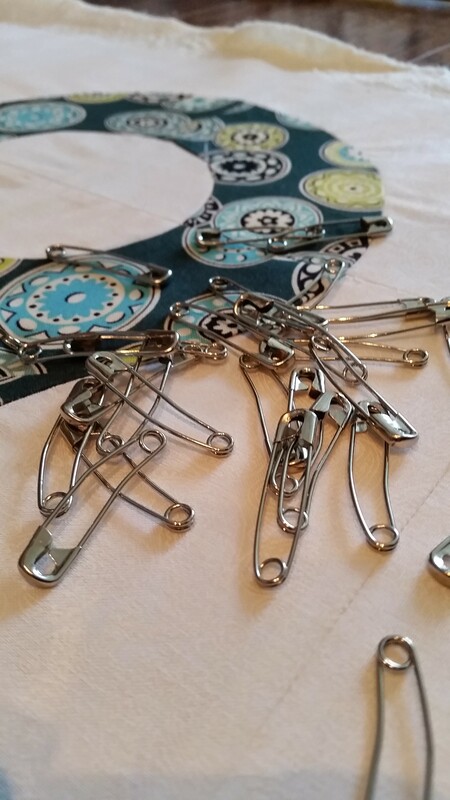 With my safety pins in hand I got to pinning. 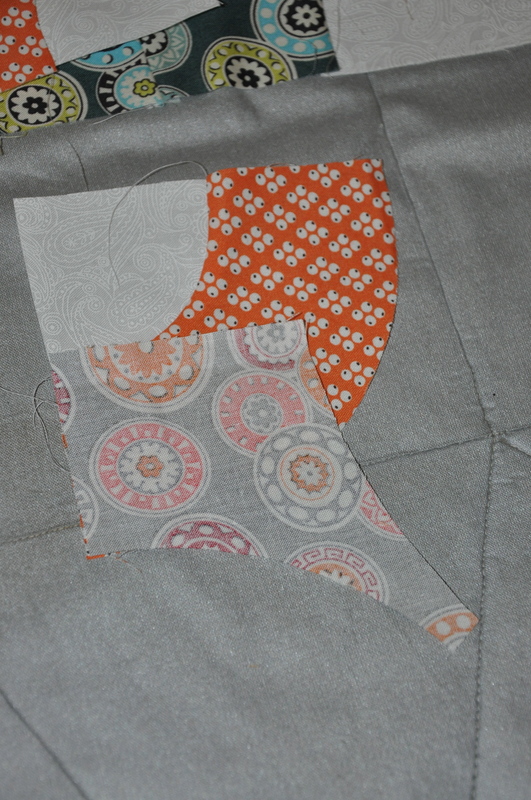 Not sure what to do for the quilting I decided to echo the shape the chain links made. Unlike a spiral where it is continuous, this has rings that are evenly spaced. 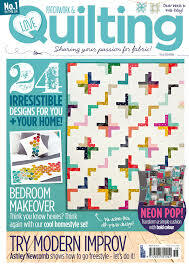 It was a really fun thing to figure out and quilt. 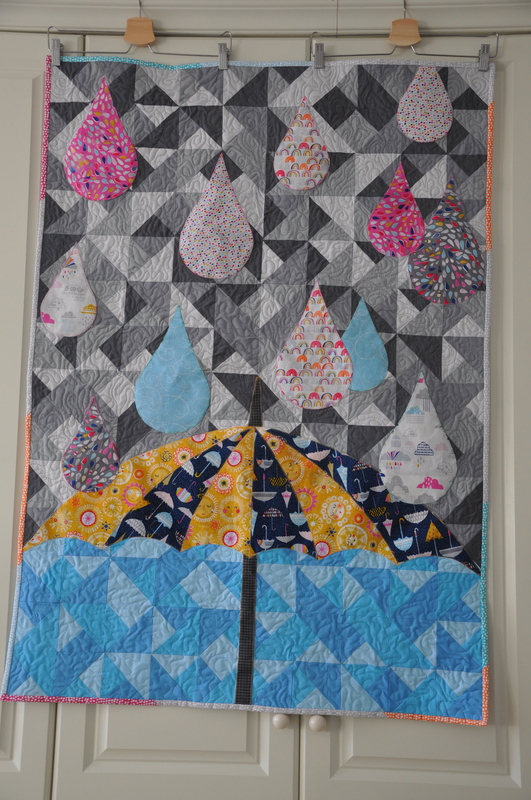 I was asked by David at Dashwood Studios to come up with a quilt to use at shows that would display their new Rain or Shine? range. A few days later a package arrived at the house with some strike off prints. 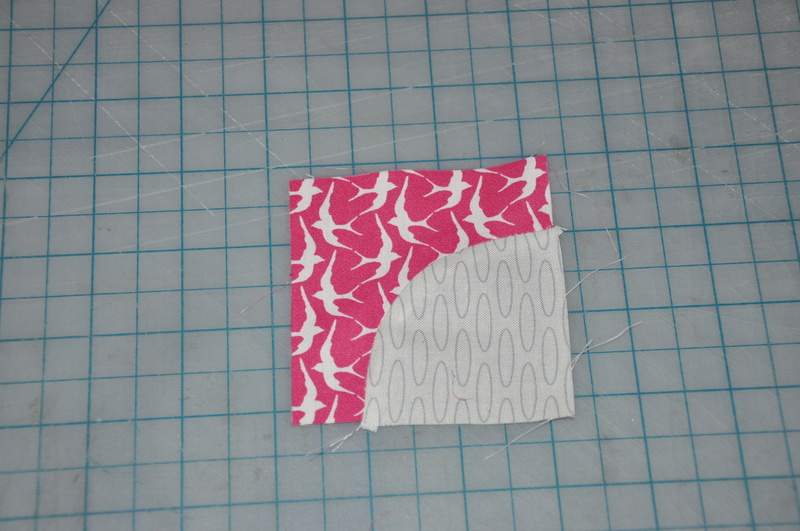 I immediately starting to like about what I could do with the very brightly colored prints. 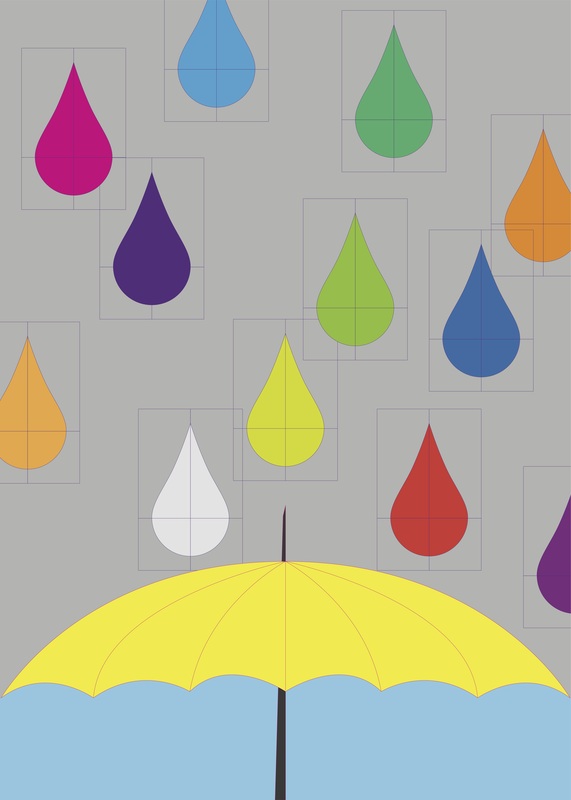 Then it hit me, Giant raindrops and an even BIGGER Umbrella! My original sketch just had a solid background and while I didn’t want it to take away from the prints I knew it needed something. 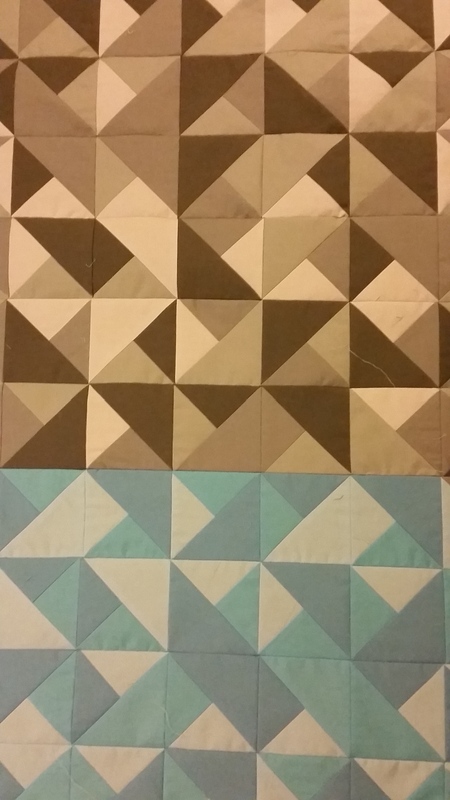 I found some Kona grey solids and a few sky blues and got to cutting. 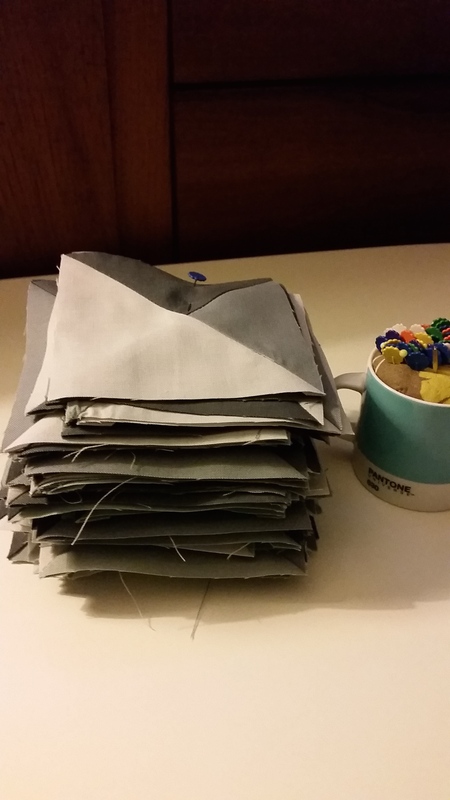 So I decided to cut some squares and then sew them together. Then I cut some more and added them to the mix. 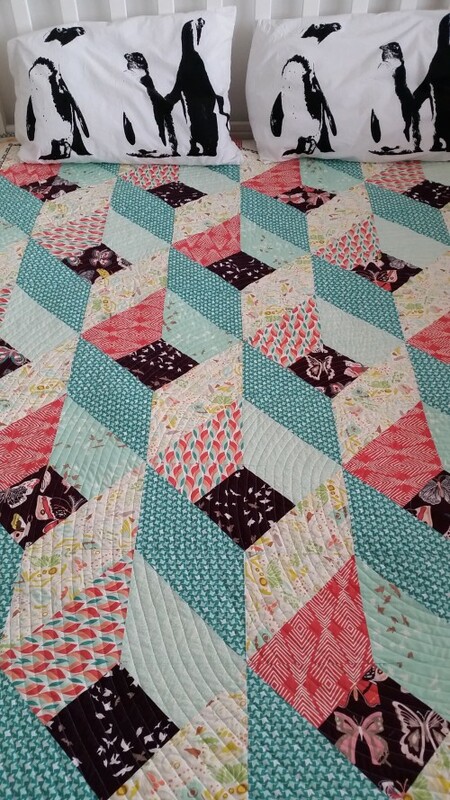 After a while I ended up with over 100 little trimmed blocks that needed to be arranged. 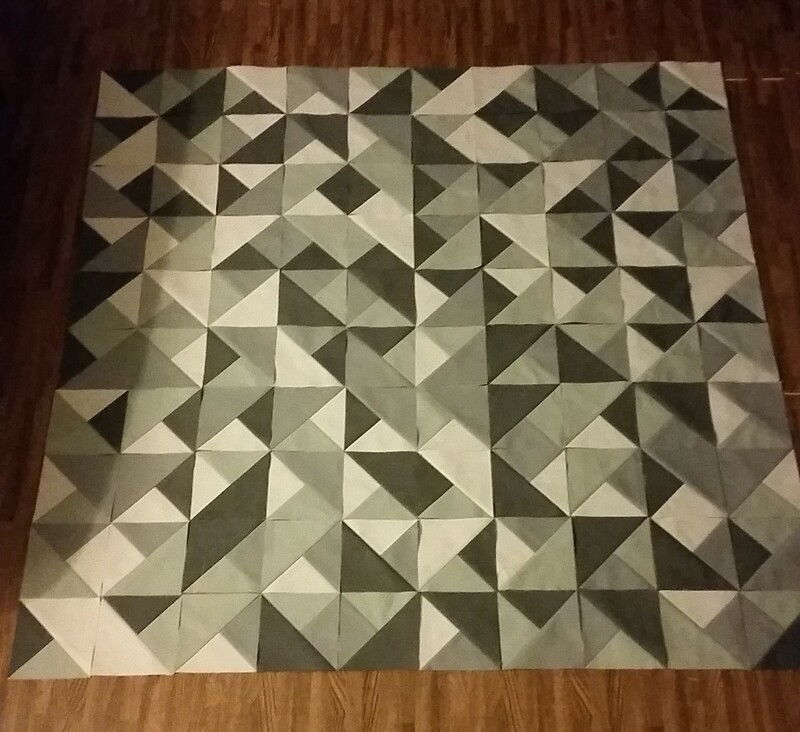 I found some space on the living room floor and started to lay them out. Shuffling them around so the tones were different. 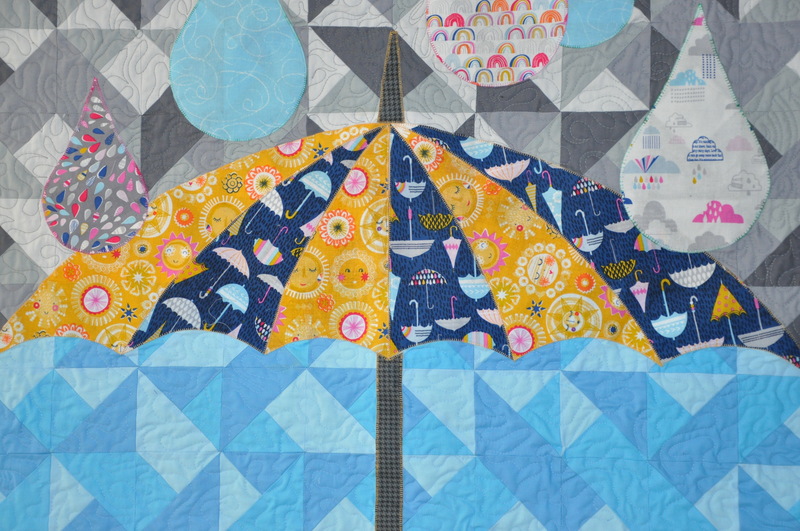 I made my Raindrops and Umbrella pieces using some interfacing and then carefully appliquéd them in place. The finished Quilt all ready to be sent to David. 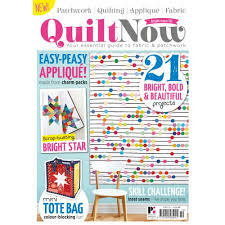 This past year I had the pleasure of seeing my friend Katy Jones at the Festival of Quilts and a brief chat about me doing work for her new magazine, Quilt Now!, turned into this really cool Triangle quilt. Since I have never done work for a magazine before I was excited and nervous about giving them what they wanted. Katy sent me a few of her Pinterest boards with the colors she was looking for. 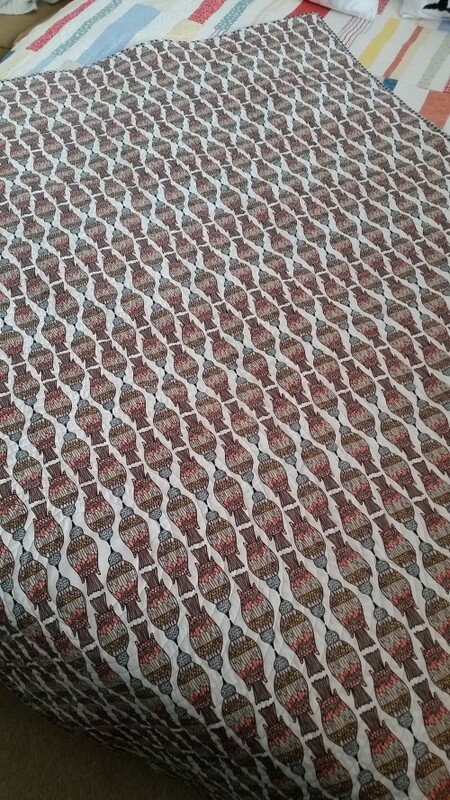 After a visit to the Wharf with Haydn I noticed an image on the elevator with random triangles. When I got home I created a digital layout and we were off. 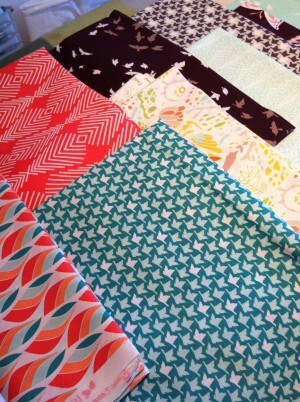 Step two was selecting fabrics for the quilt. I emailed Annie at The Village Haberdashery and she said to come on by and pick out what I needed. 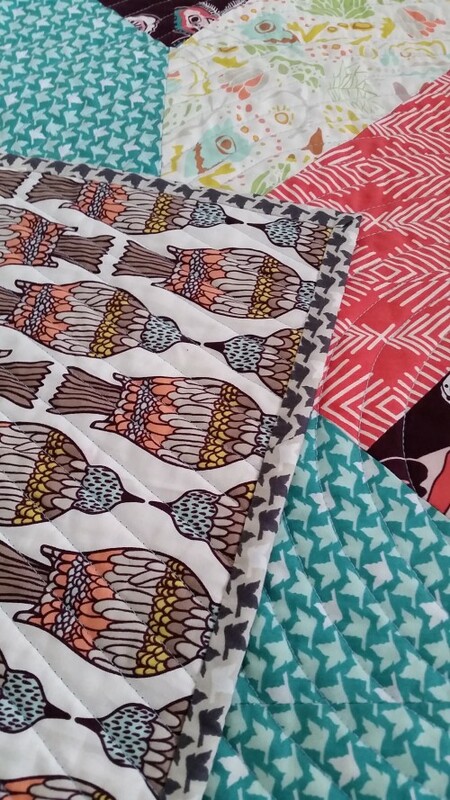 I wanted a bright and fun quilt so I went with some interesting choices. Using my layout sketch I trimmed my triangles out and placed them up on my design wall. After a few tweeks here and there we were ready to go. You’ll have to get the magazine for the instructions!! 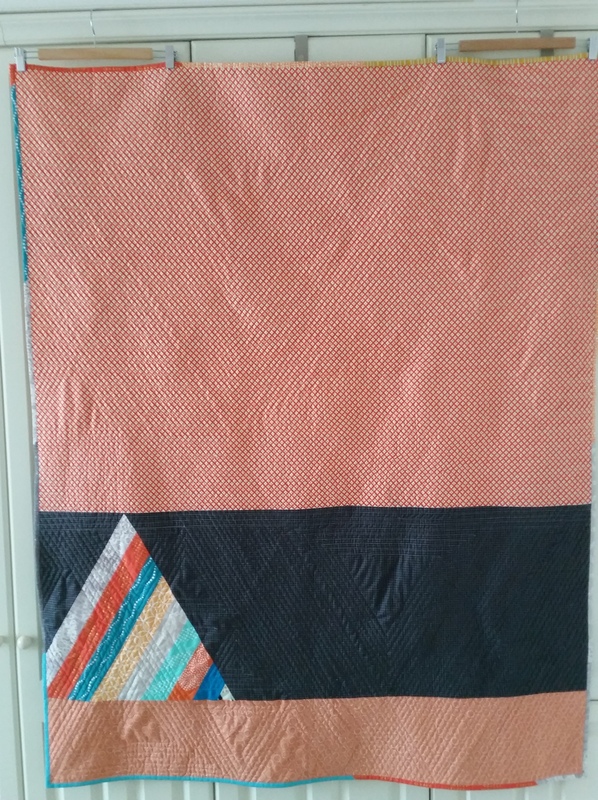 I wanted to add a bit of something to the back so I made a large triangle using the scraps I had and some contrasting orange and black to set it off. 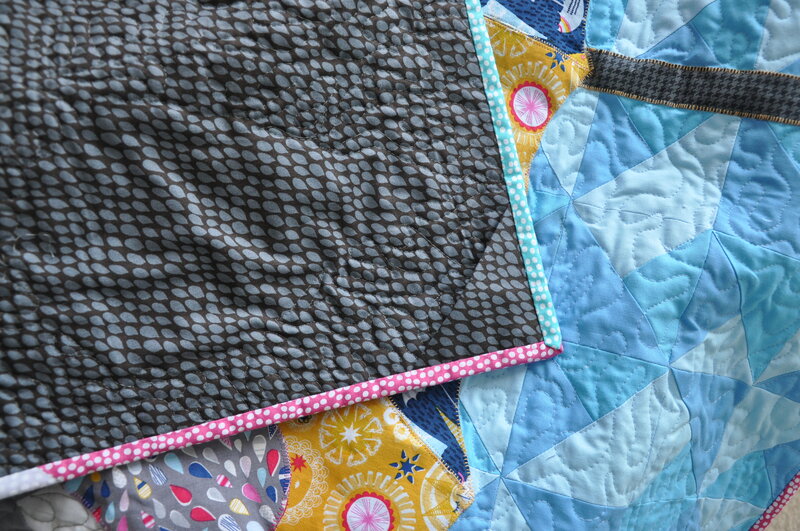 With the remaining larger pieces I stripped them down to 2.5″ and bound the quilt in them. So now I am working on a few more. One for the March issue and one for April. 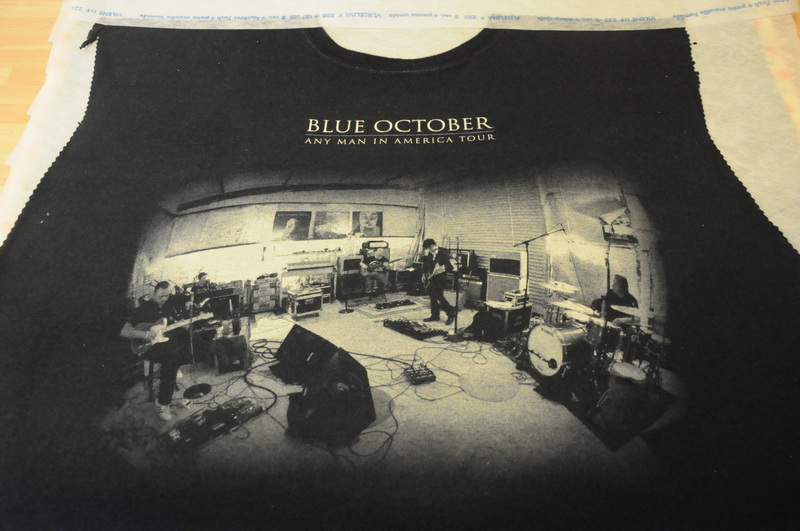 So I am a fan of the band Blue October and have been for years. It started as a bit of an accident. 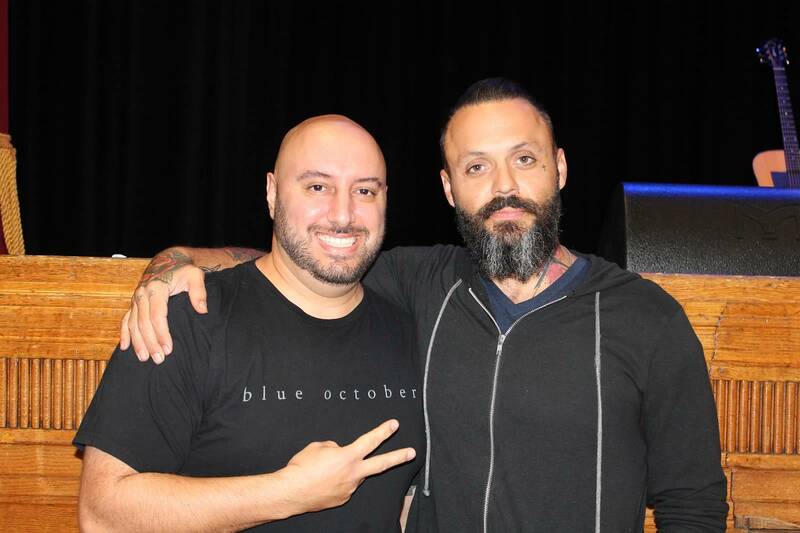 I had gone to a show with a friend to see another band I like and Blue October was the co-headliner. 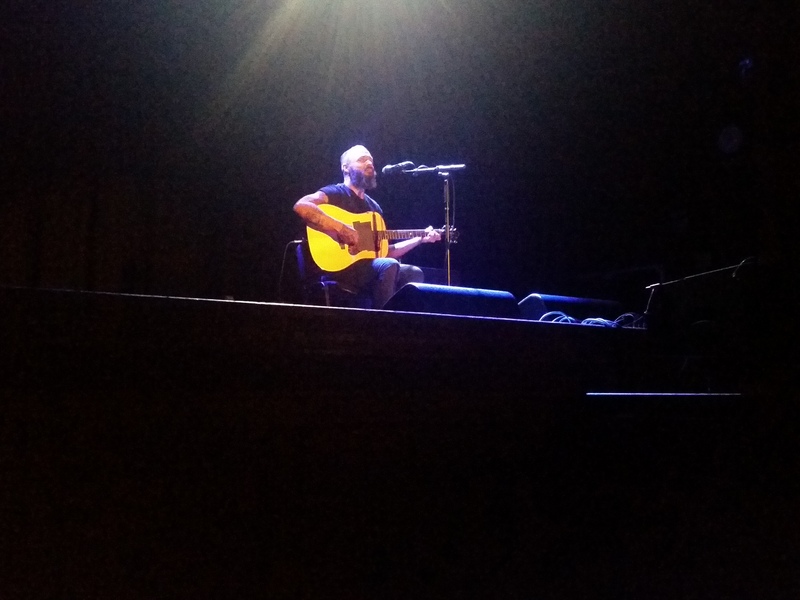 I was drawn to the music and the lyrics and have continued to follow them over the last 10-11 years seeing them in concert every time they either play in NYC or in London and on a few occasions in San Francisco while we were on vacation. 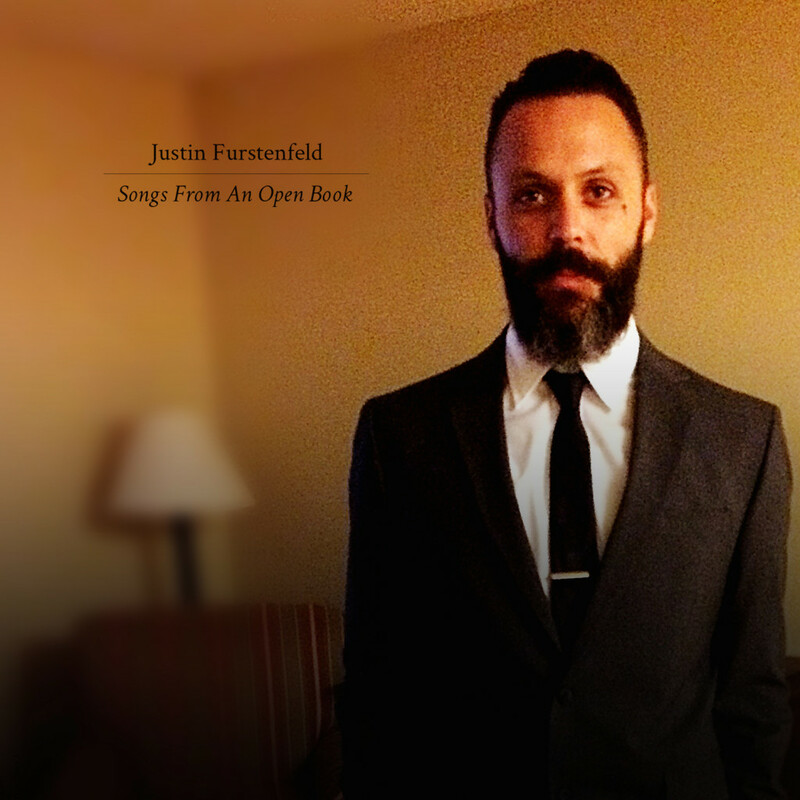 This year the lead singer, Justin Furstenfeld released an acoustic album of his songs and was touring the UK and Germany. “Open Book” is a mix of Justin singing and talking about his life. The good, the bad and the ugly. As I follow them on Twitter and Facebook I noticed this cool image that Justin posted before the album was released. 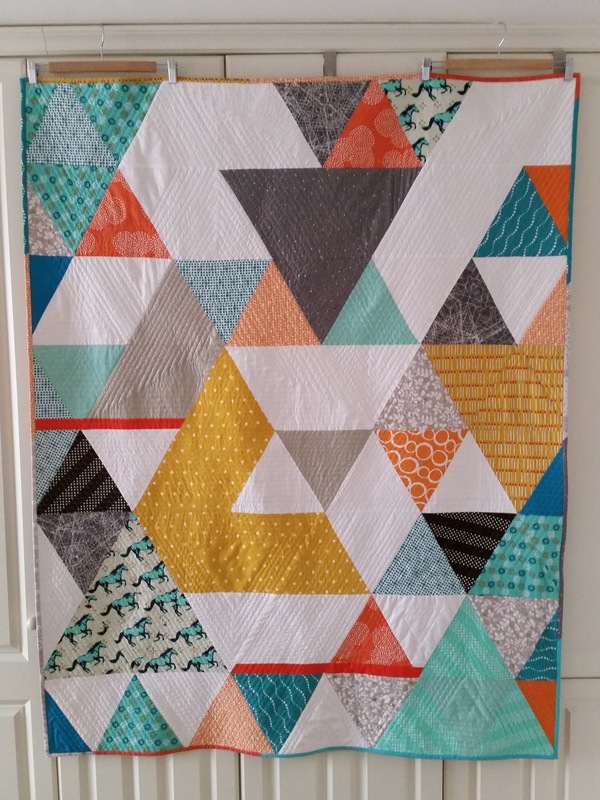 I thought it would make a cool quilt. 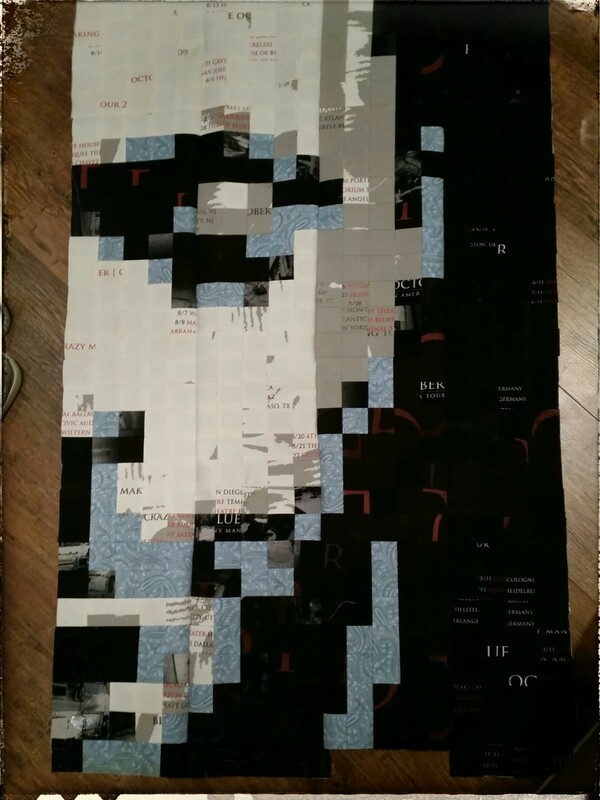 As some of you know I have been making these pixelated portraits as of late. 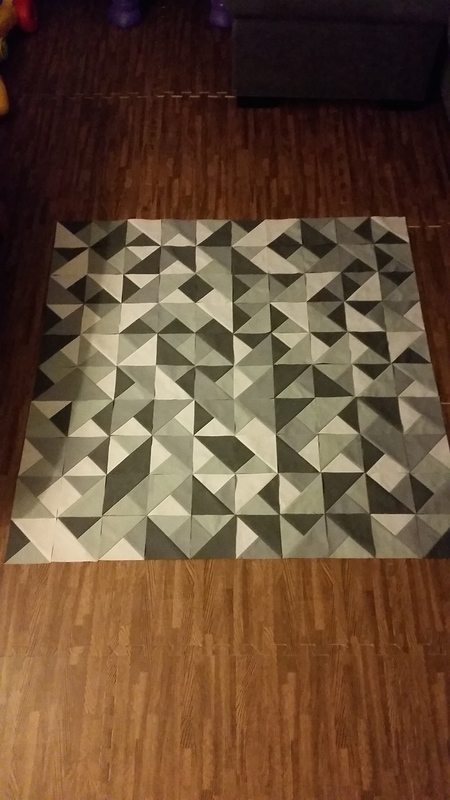 I plotted out my image and began to figure out what to use for the black and greys. 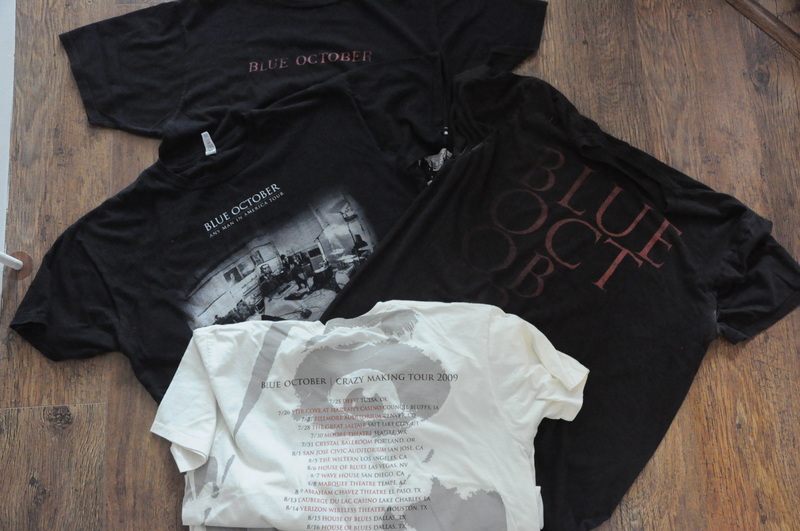 Then it hit me, I have some older tour t-shirts that I don’t wear as much as I used to and placed them out to see if I had enough to do what I needed. 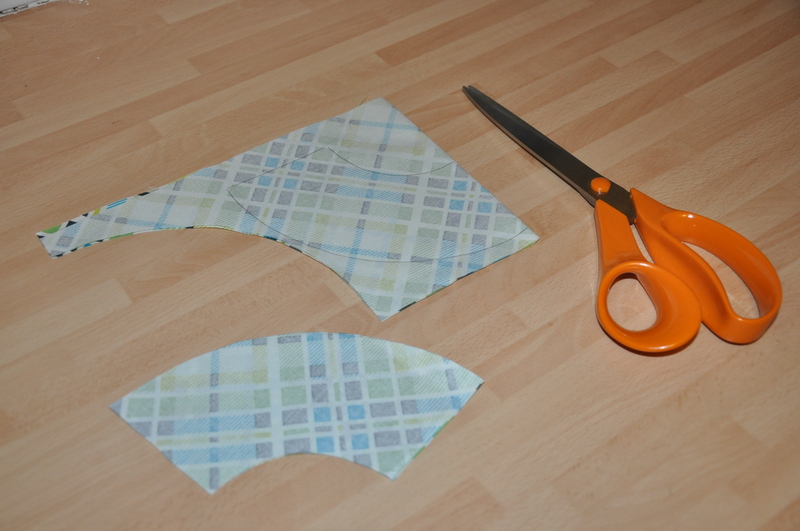 After pressing the shirts flat I started to cut them up. 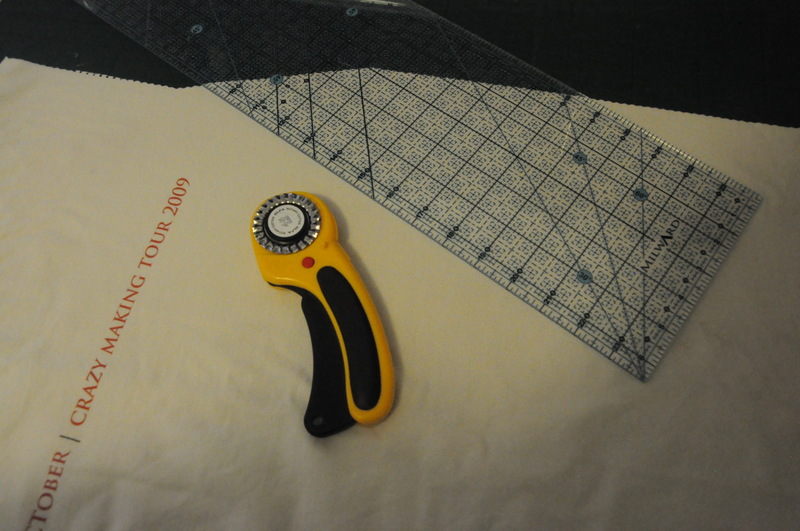 As they are not quilting cotton I had to interface the back side of the shirts to keep the edges from rolling and fraying. 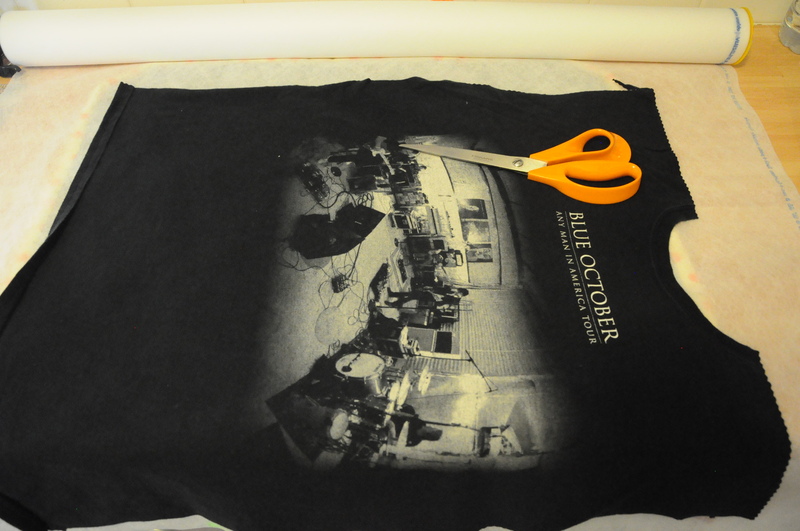 Once all the shirts were prepped I figured out the size I was going to cut them up into. 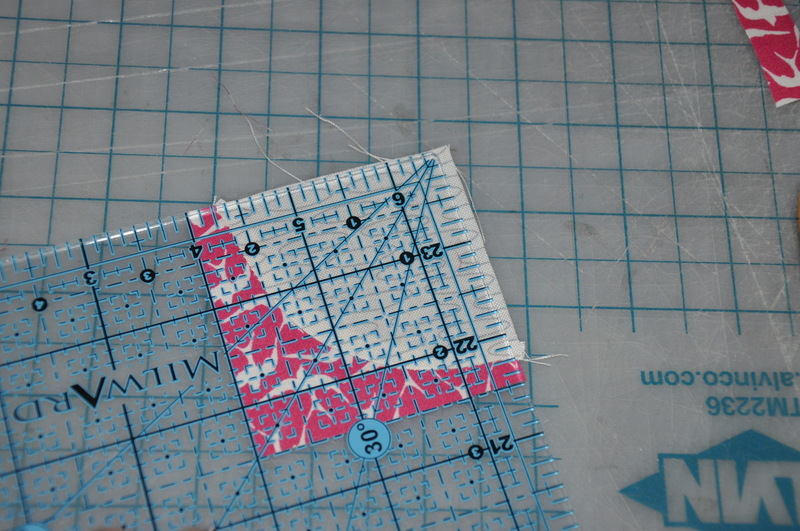 After some quick calculations I thought my best best would be 2″ squares ending up with a 1.5″ finished square. 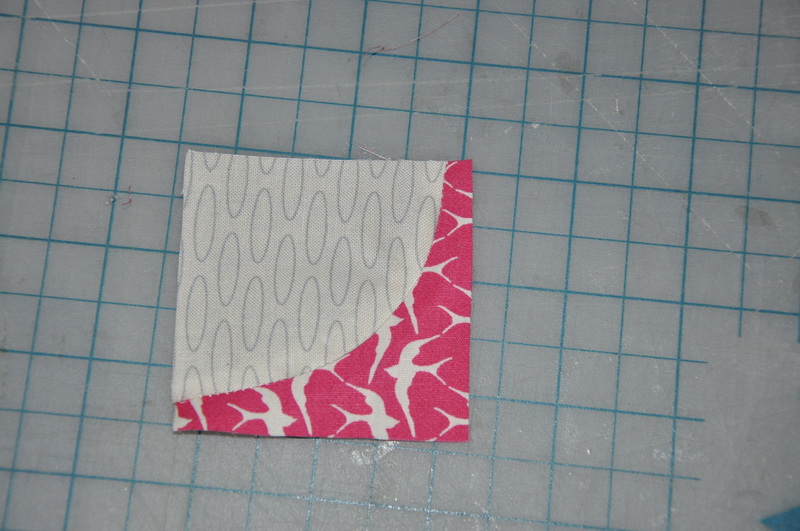 I carefully chopped up the fronts and backs of the shirts into tiny little squares and separated them into color. 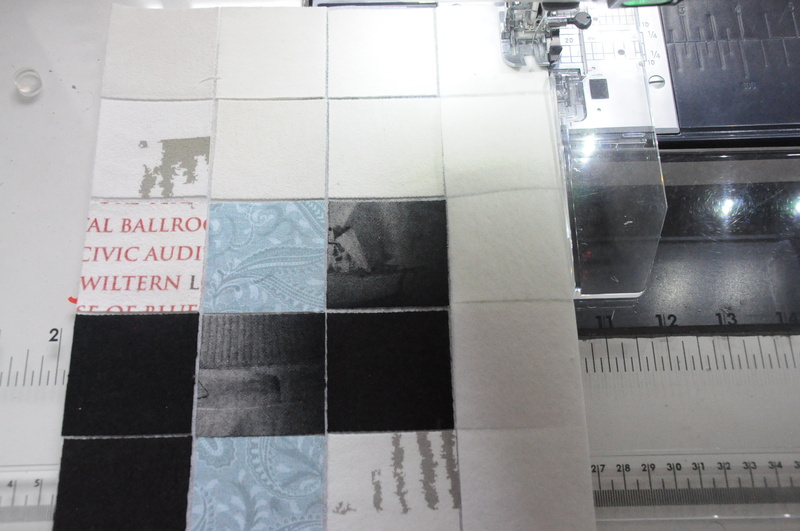 Most of the squares were black but on some of the shirts I used the printed silkscreen image as varying shades of grey. 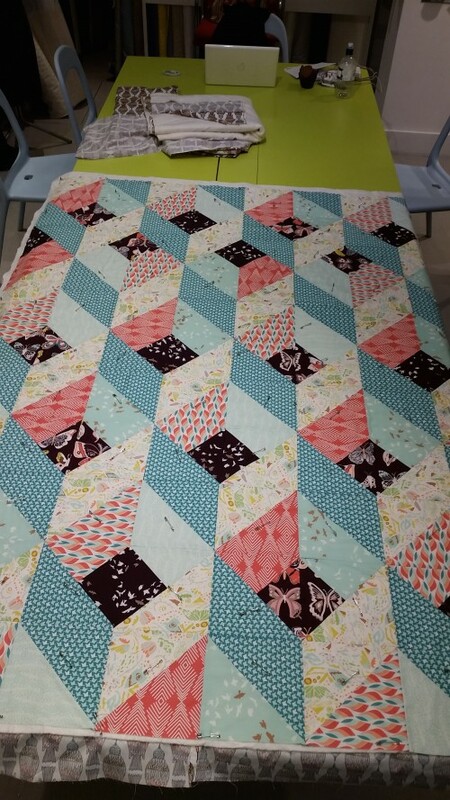 Now on some of the other quilts I just gridded up the entire project into 5×5 or 6×6 sections and pieced them together normally. 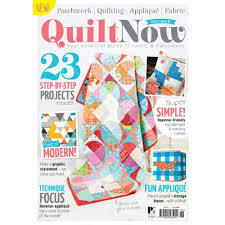 They were bigger squares and quilting cotton. 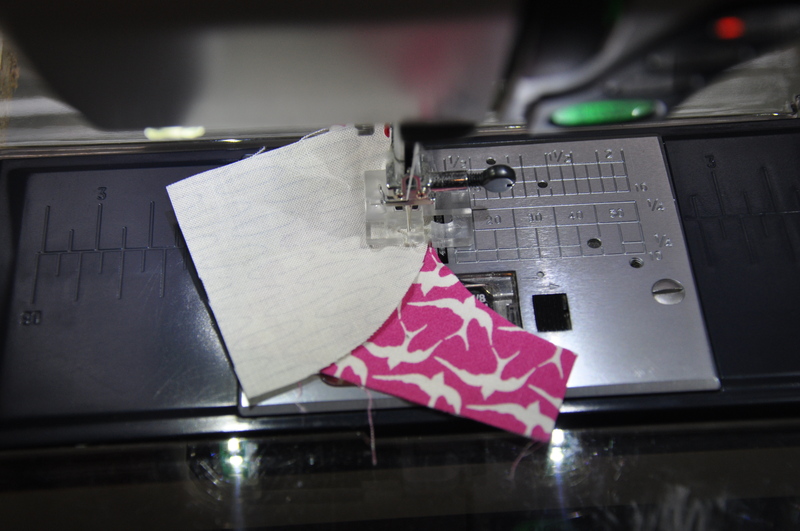 Since we were using smaller squares and t-shirts I opted for the fuse and sew method I have seen demonstrated by Oh Frannson! Off we went. After a few days of careful planning while Haydn was sleeping I had a finished portrait of Justin. 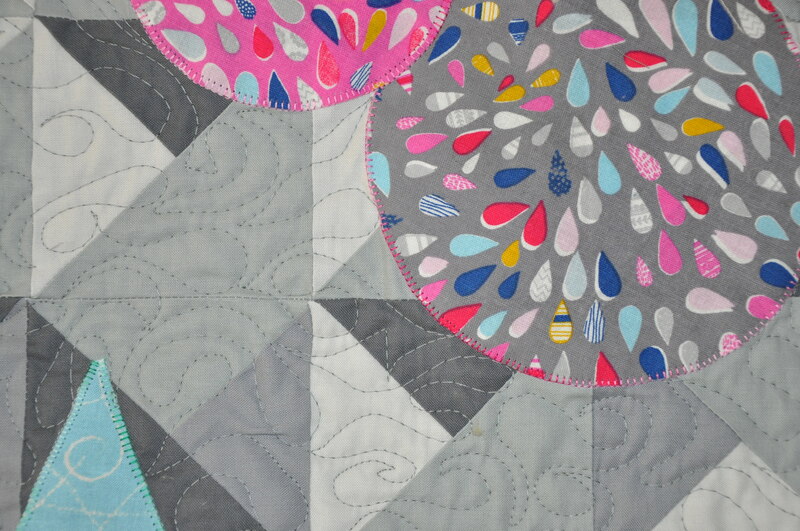 Will get to the actual quilting soon. When I saw Justin in October I mentioned I had made this and offered it to him. The full band will be back in February so I will plan on getting it to him then.